The Revolution is almost upon us! 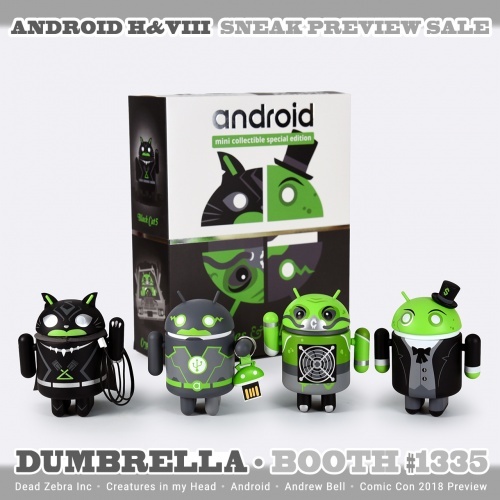 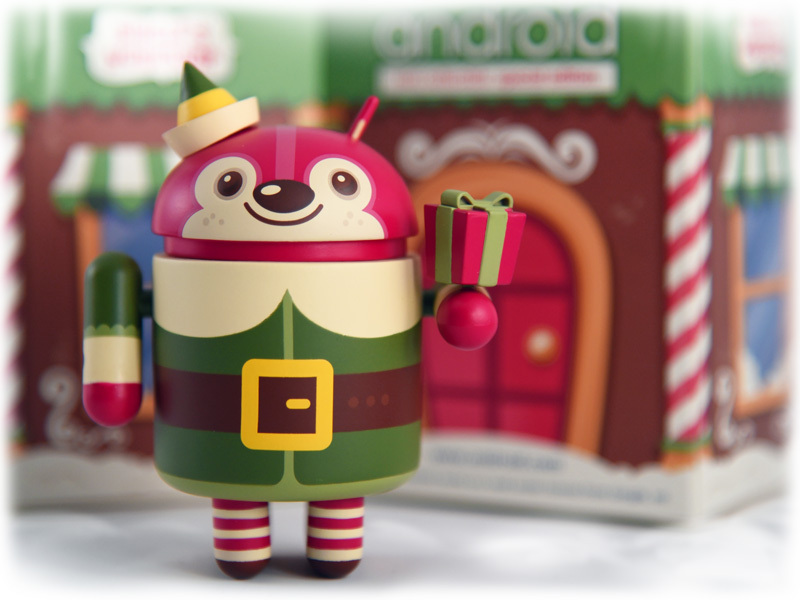 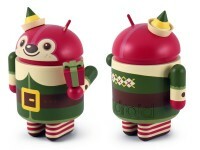 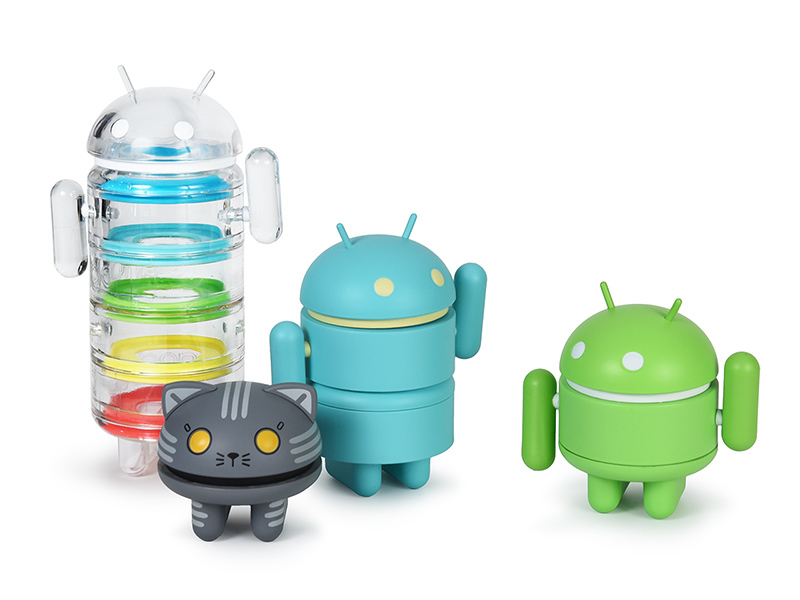 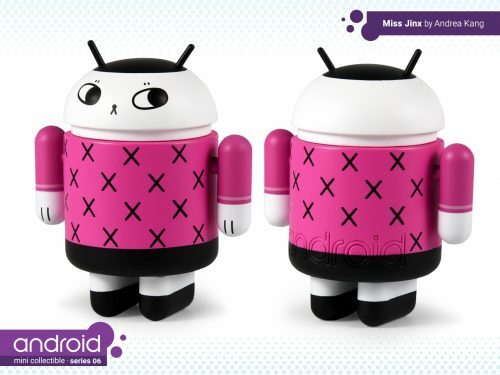 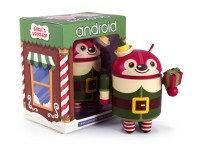 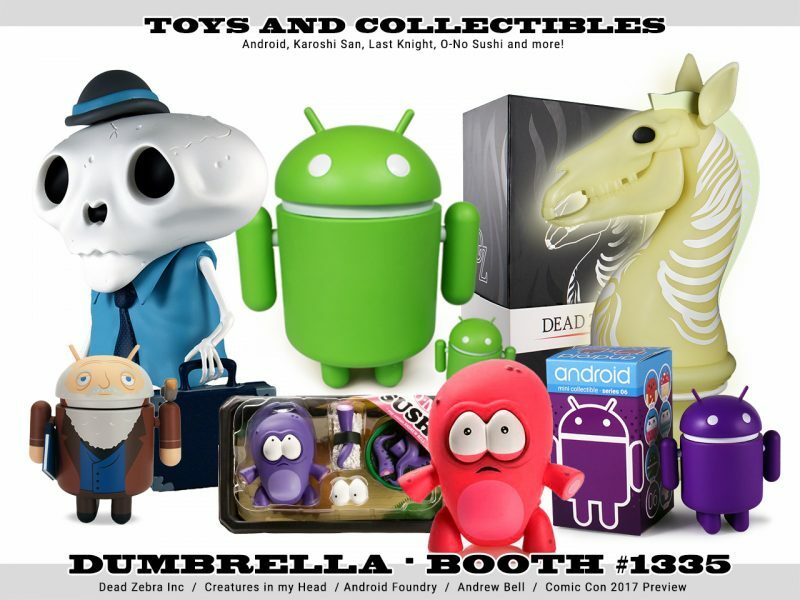 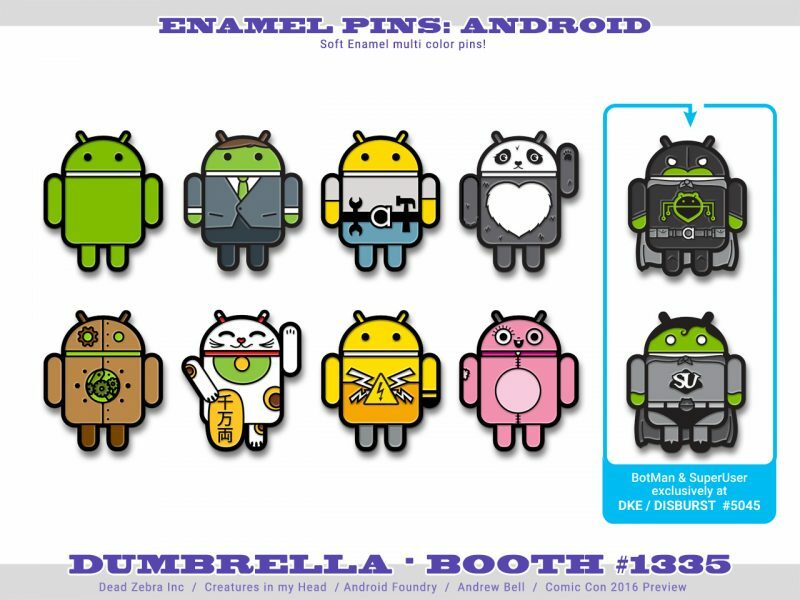 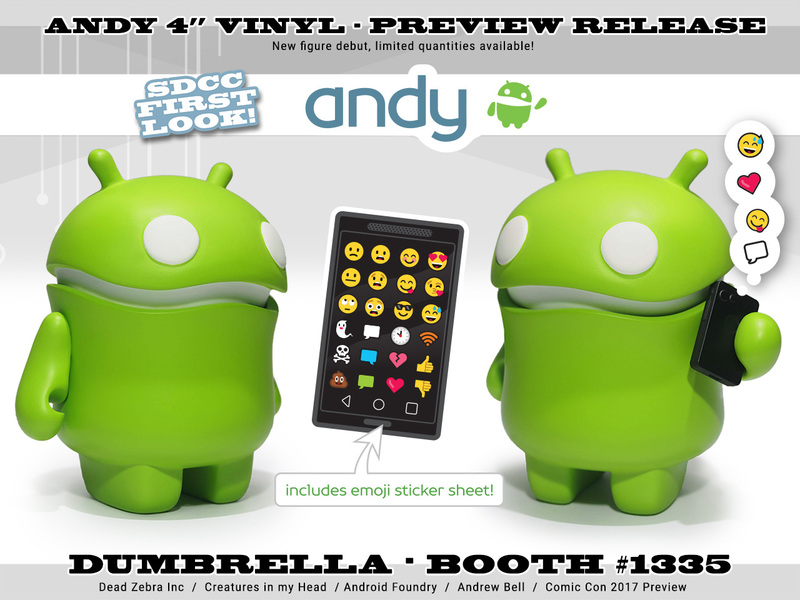 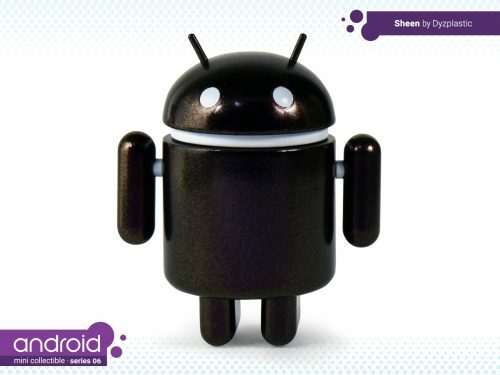 Here’s the last preview of the new series of Android mini collectibles! 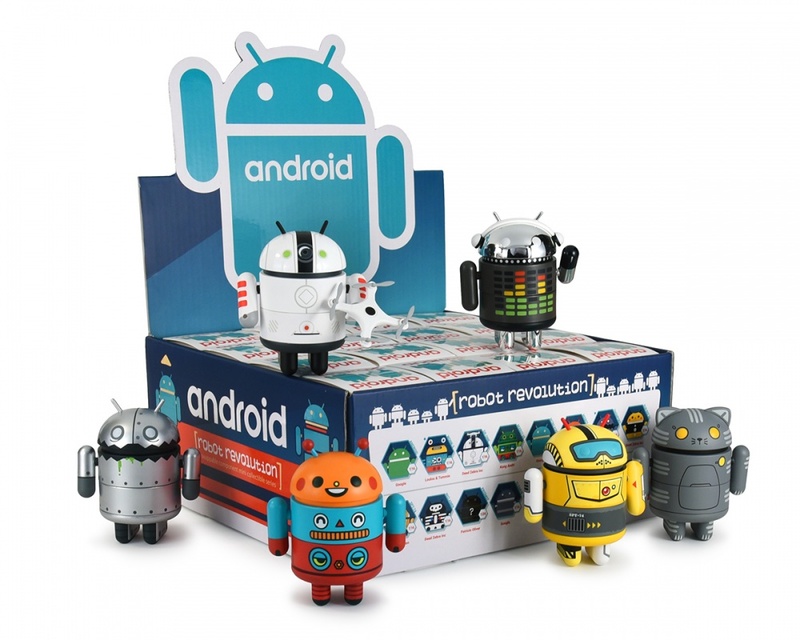 Robot Revolution will be available to the public starting May 10th at retail partners (see some here!) 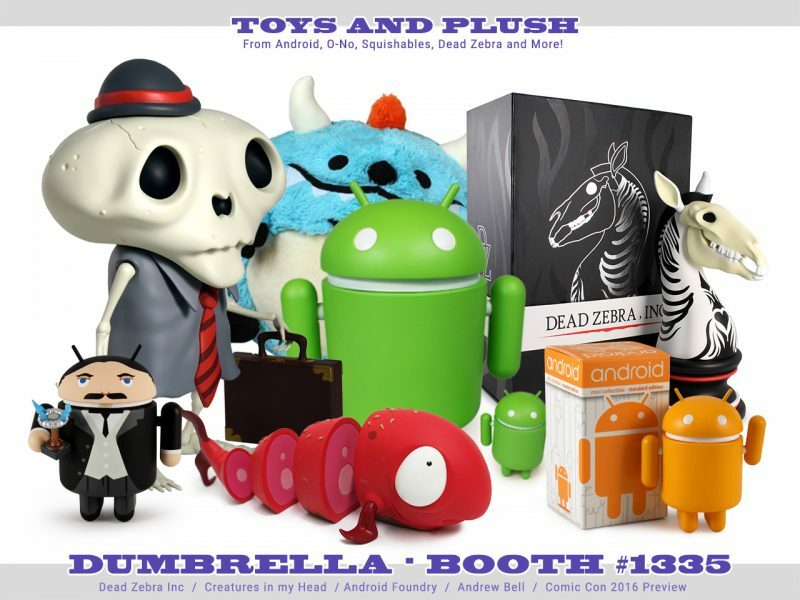 or in the Dead Zebra Shop! First up is a duo of designs from Dead Zebra Inc. 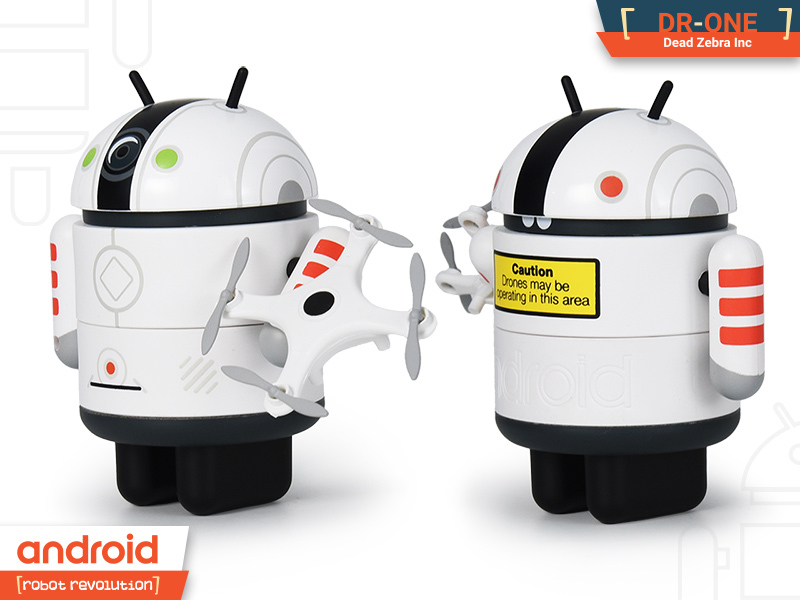 Caution: Drones may be operating in this area! 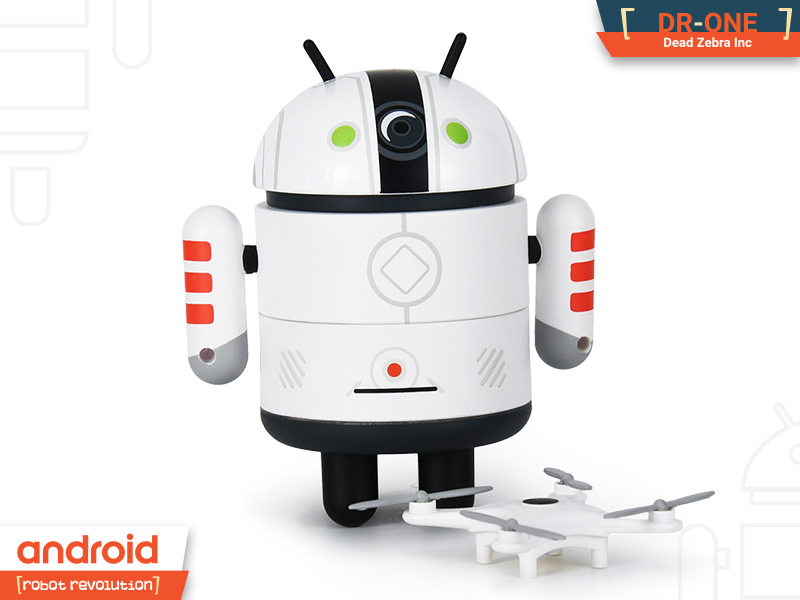 “DR-ONE” keeps an eye on the situation, complete with a small drone accessory (sorry, it doesn’t actually fly). 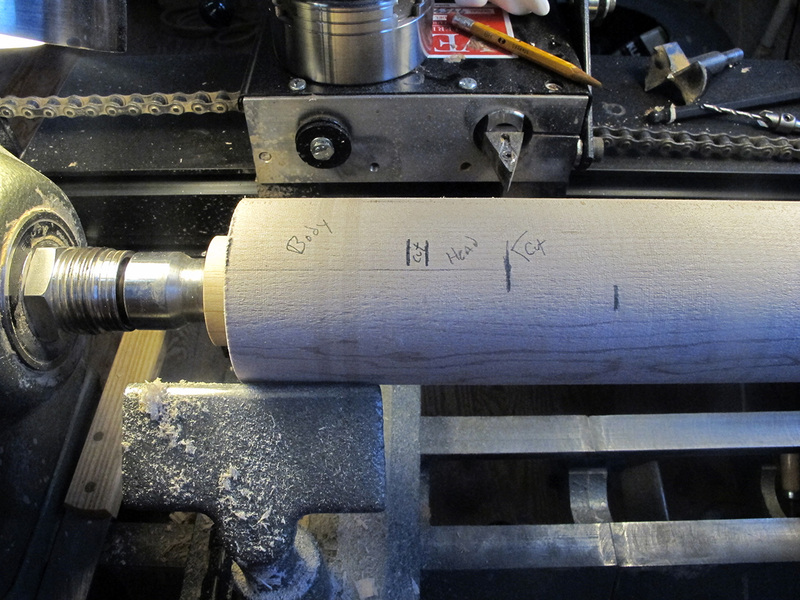 1/16 ratio, likely to crash directly into a tree. 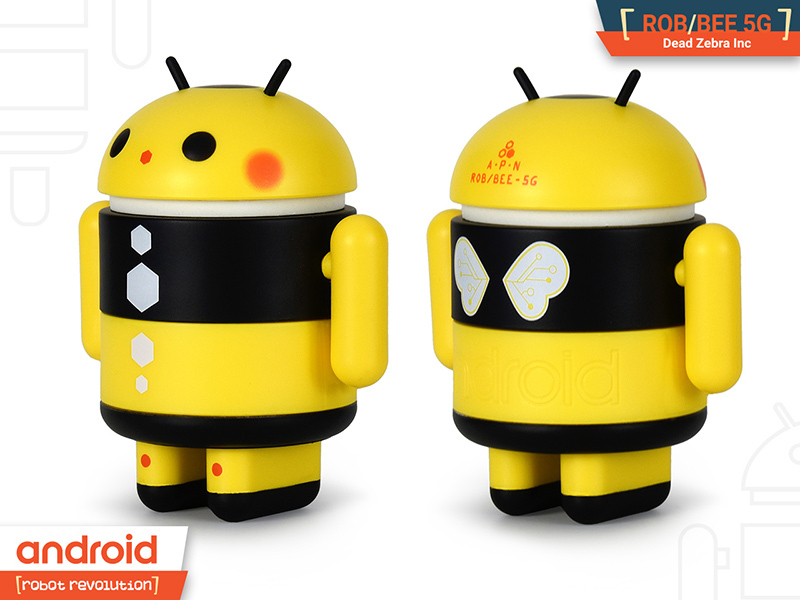 Busy building out the next generation of networks is Rob/Bee 5G! 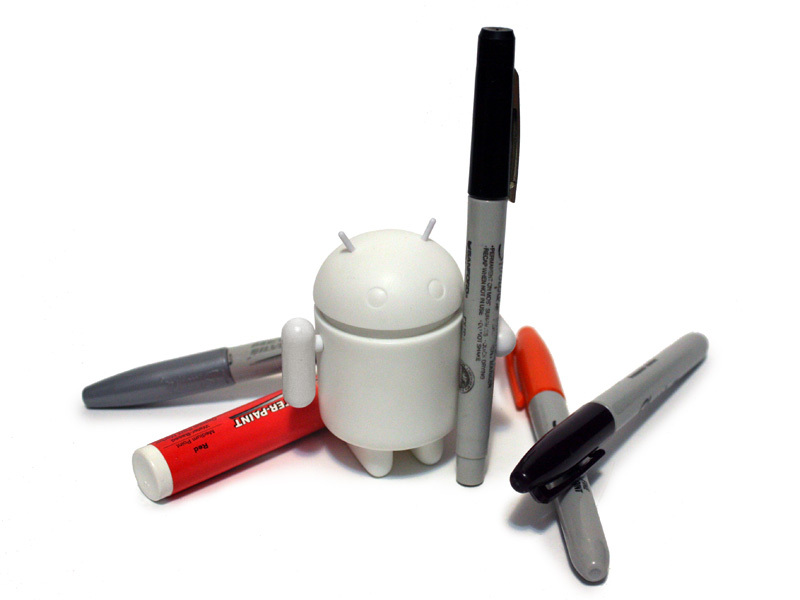 Also in a 1/16 ratio, Rob prefers to communicate wirelessly via a buzzing sounds and interpretive dance. 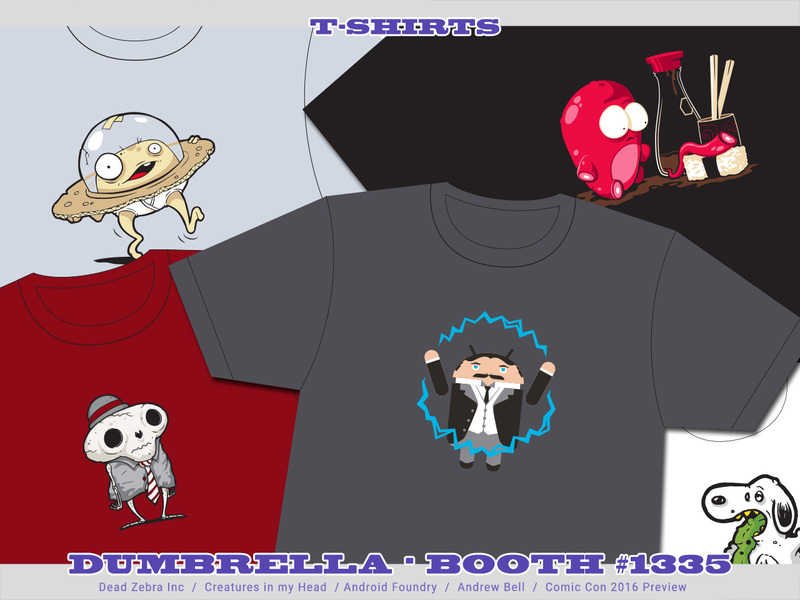 Perhaps the best part of the new series is the near infinite combination remix possibilities! 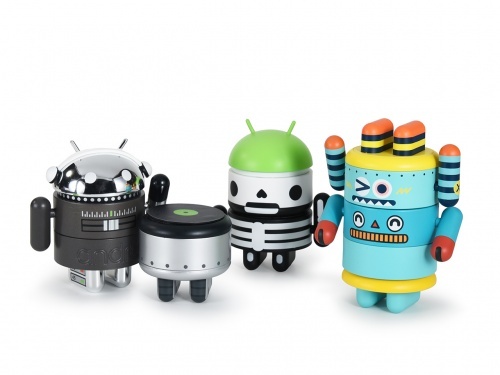 It wouldn’t be a new series without a good ole classic green ‘bot in there! 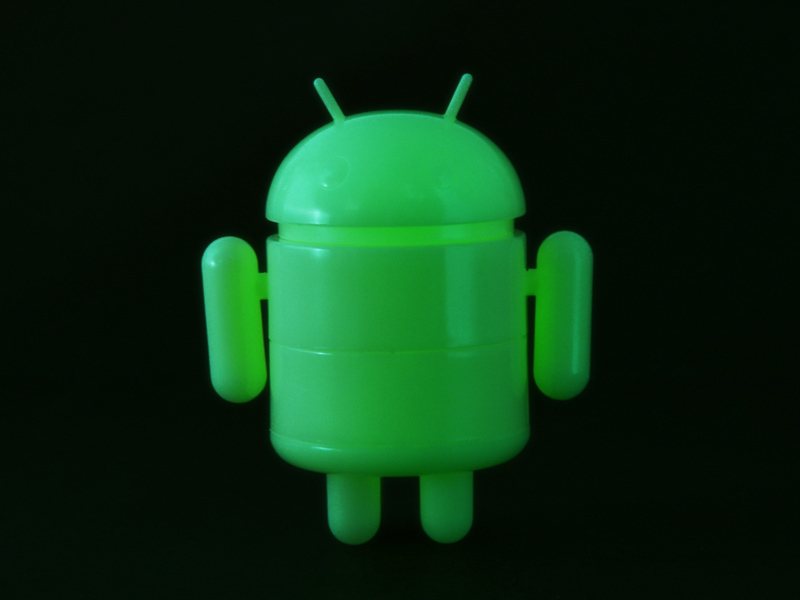 1/16, this standard green is ready to remix! We’re closing out the preview how we started, with some of the original inspiration for the remix series, Mix-Bot 05 from Kong Andri! 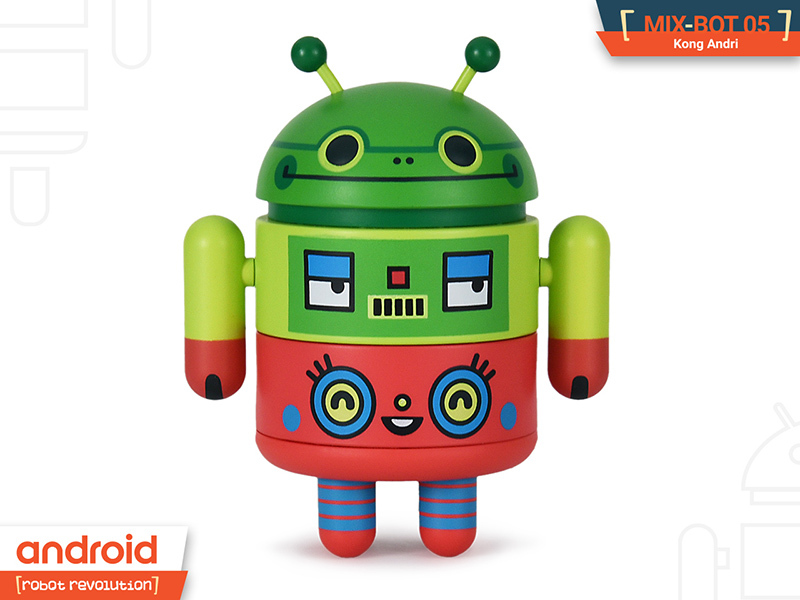 The fun faces stack up in this 1/16 design. 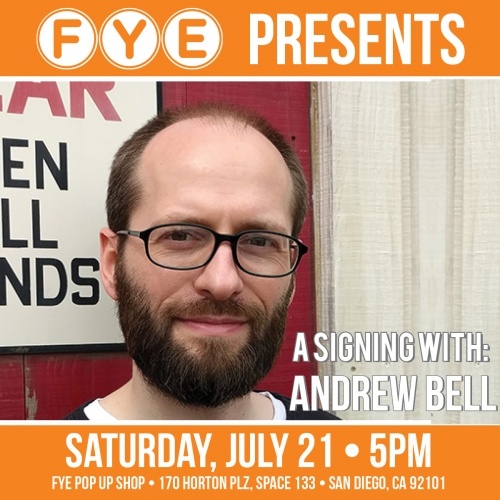 Thanks for joining us for this preview series! 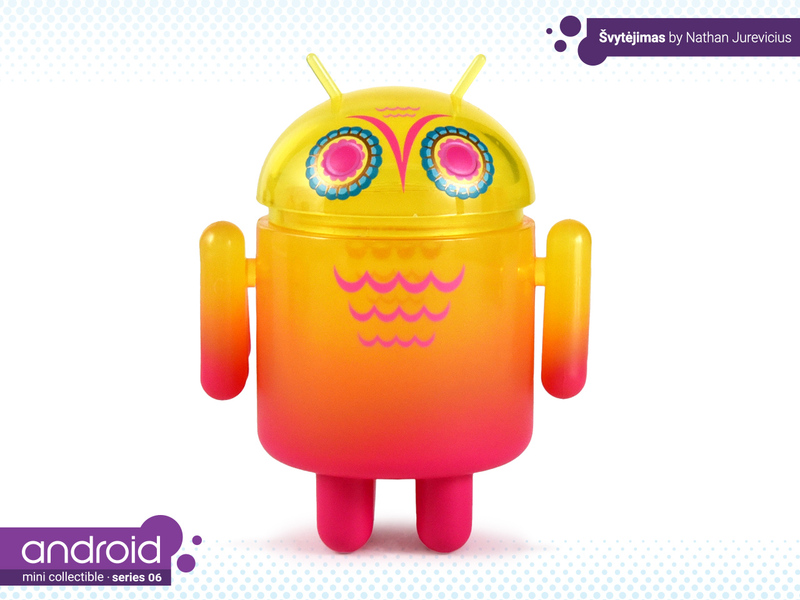 We can’t wait to get these Androids out into the world to see what sort of creative remixes you come up with! 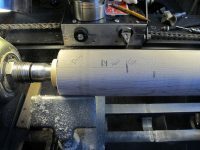 Reading backwards? 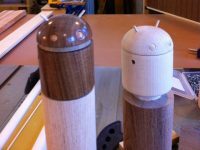 The previous entry in the series is here! 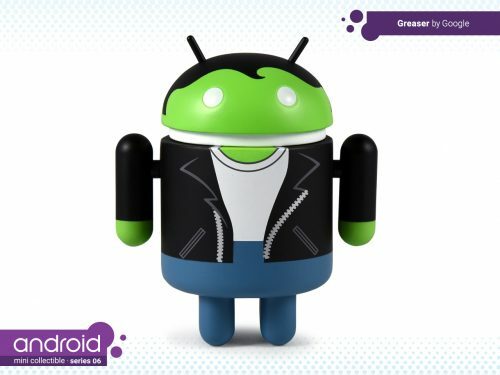 Ready yourselves for the Revolution.. 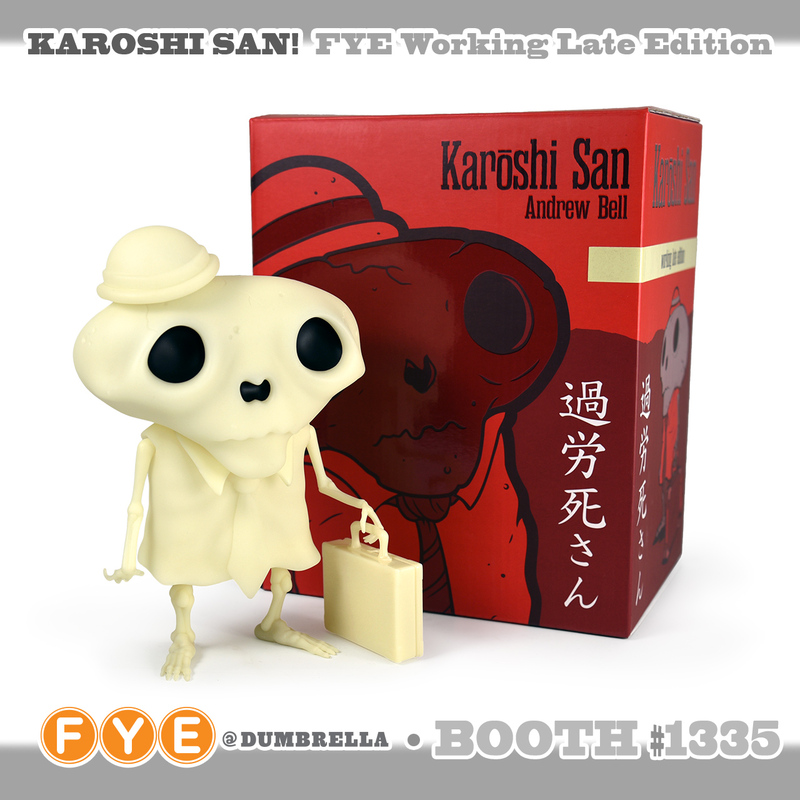 Sales start at retailers online and in meatspace on May 10th! 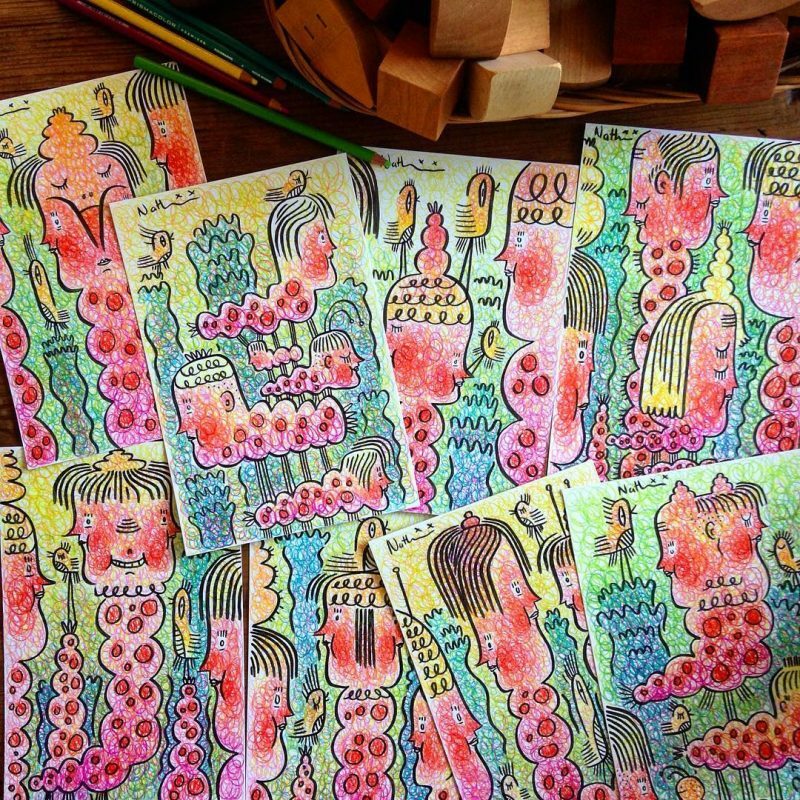 Shipping immediately or shortly thereafter (depending on when they receive their shipments!). 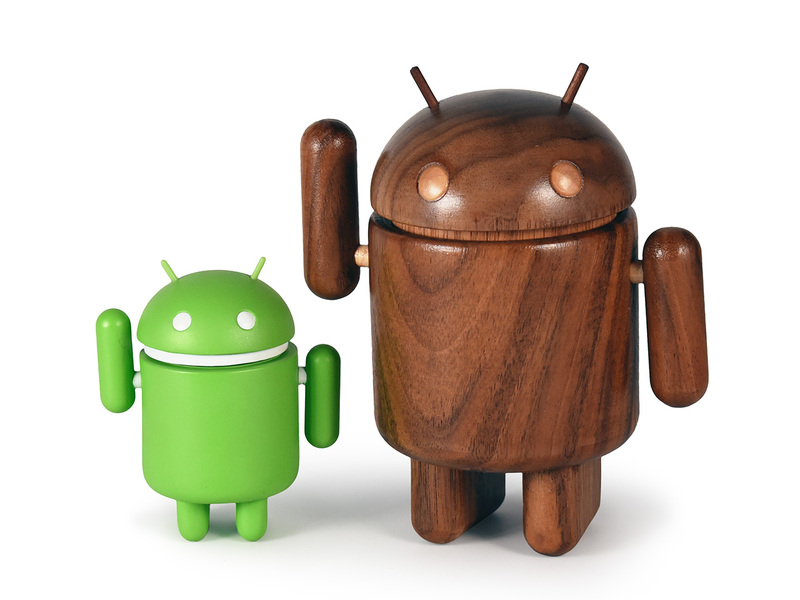 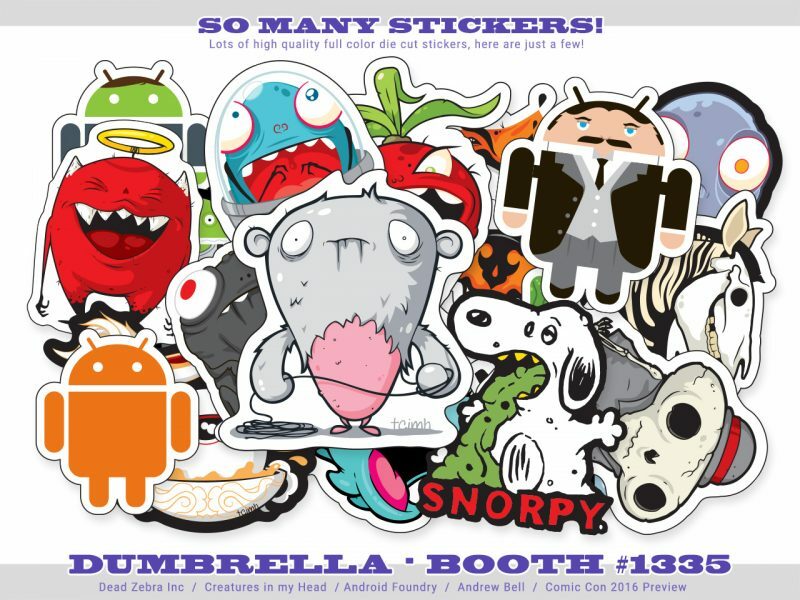 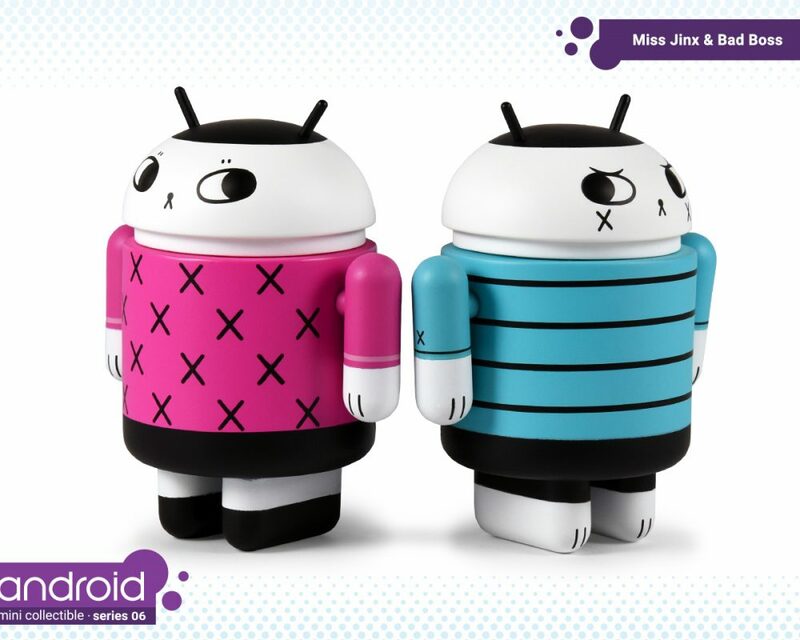 Curious how dynamic Dutch design duo LouLou & Tummie stack up in Android form? 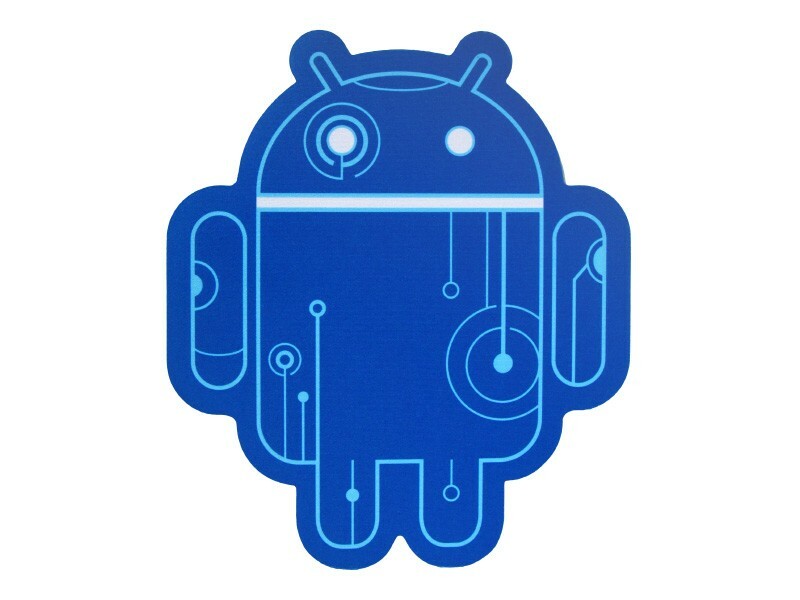 Well… sort of like this! 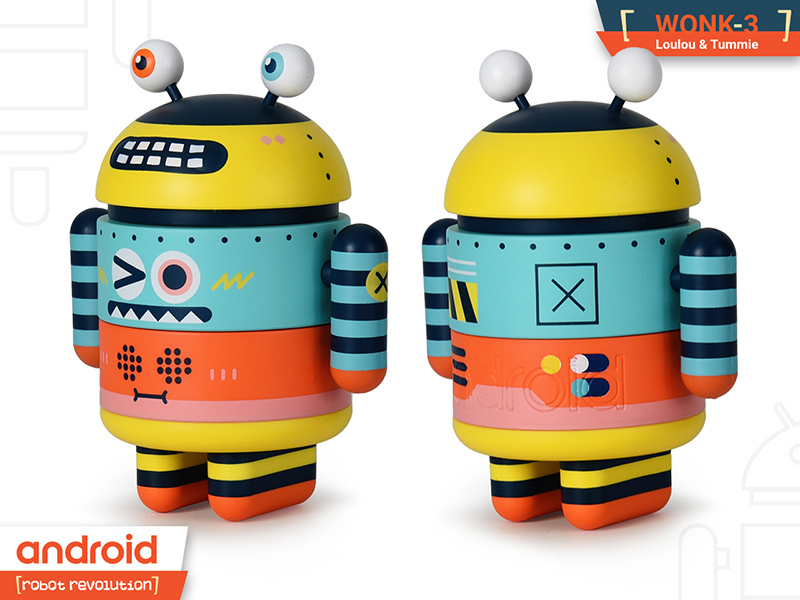 “WONK-3” has bug eyes, bright colors and fun faces to make it just the right kind of wonky! 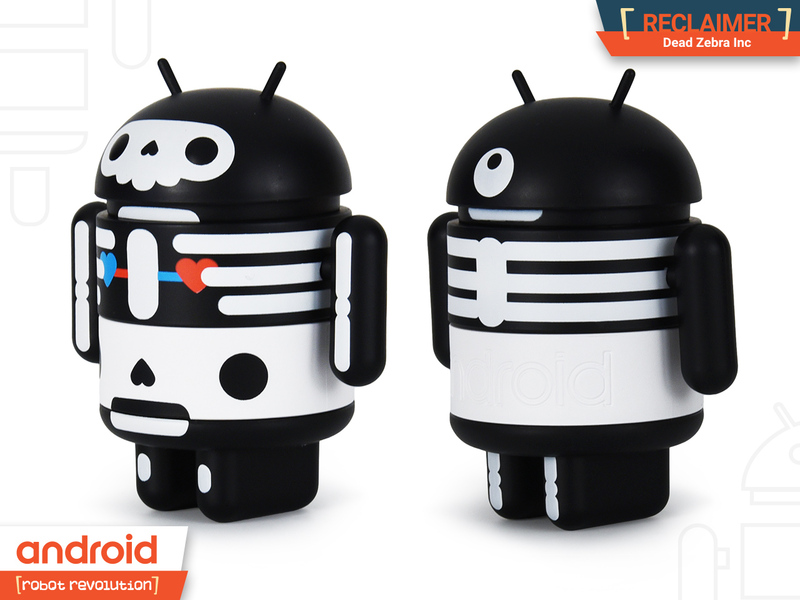 This design features in a 1/16 ratio, and a secret chase color variant! 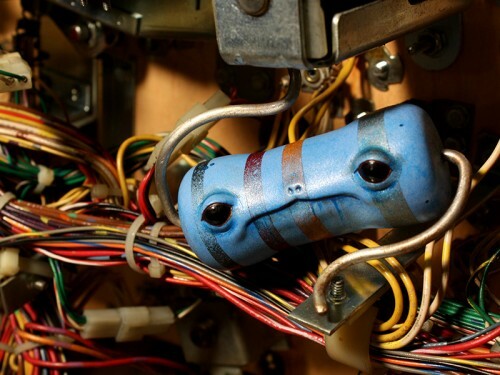 Did your robot suddenly stop working? 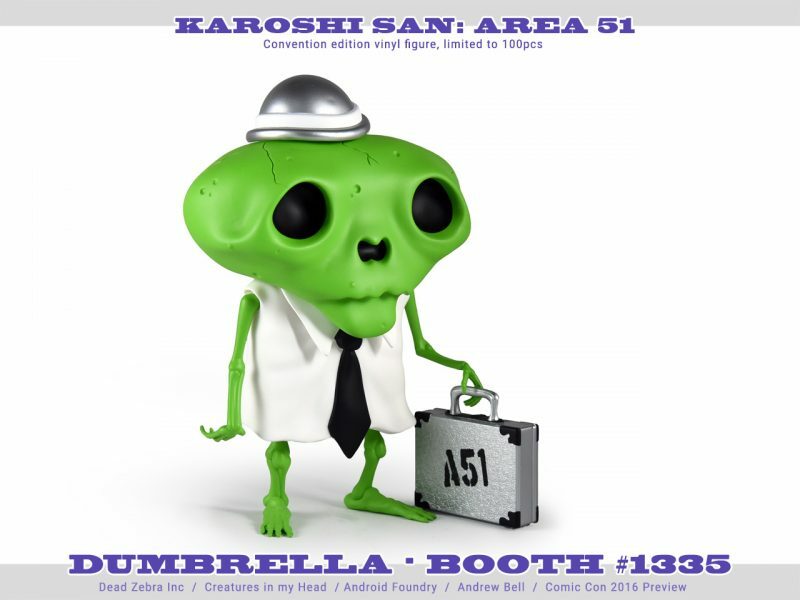 “RECLAIMER” might have had something to do with it. 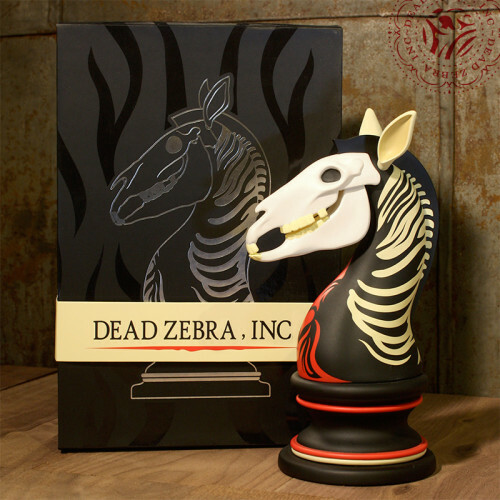 Dead Zebra Inc brings you a robot… of death! 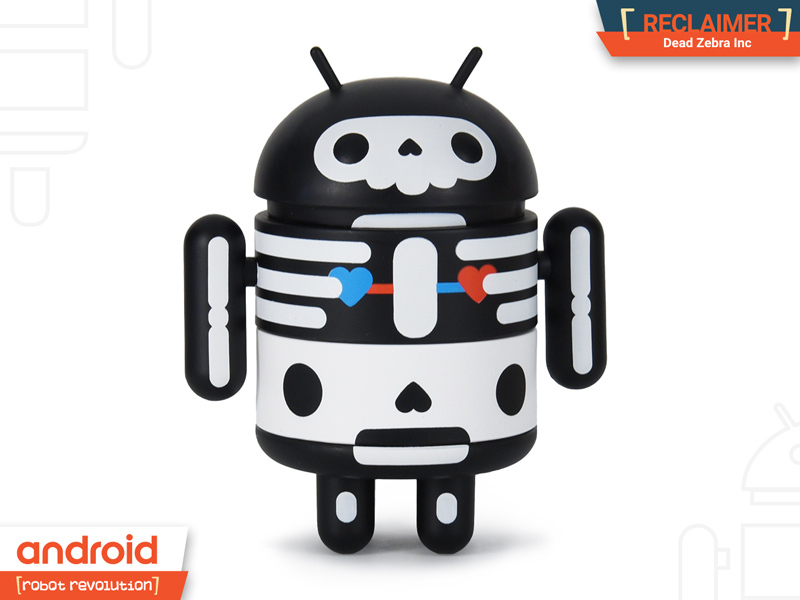 With a 1/16 ratio, Reclaimer is ready to steal your heart.. and any other working parts you might have. 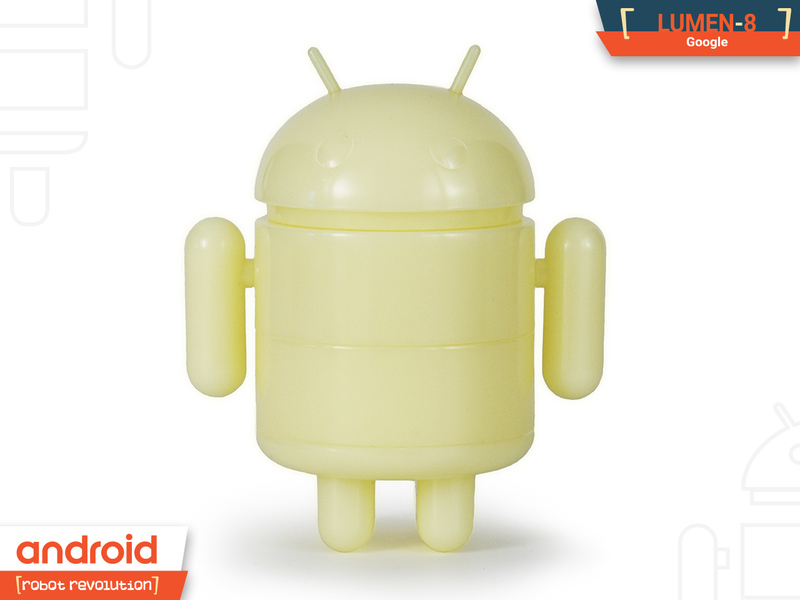 Light up your life with Google’s “LUMEN-8”. 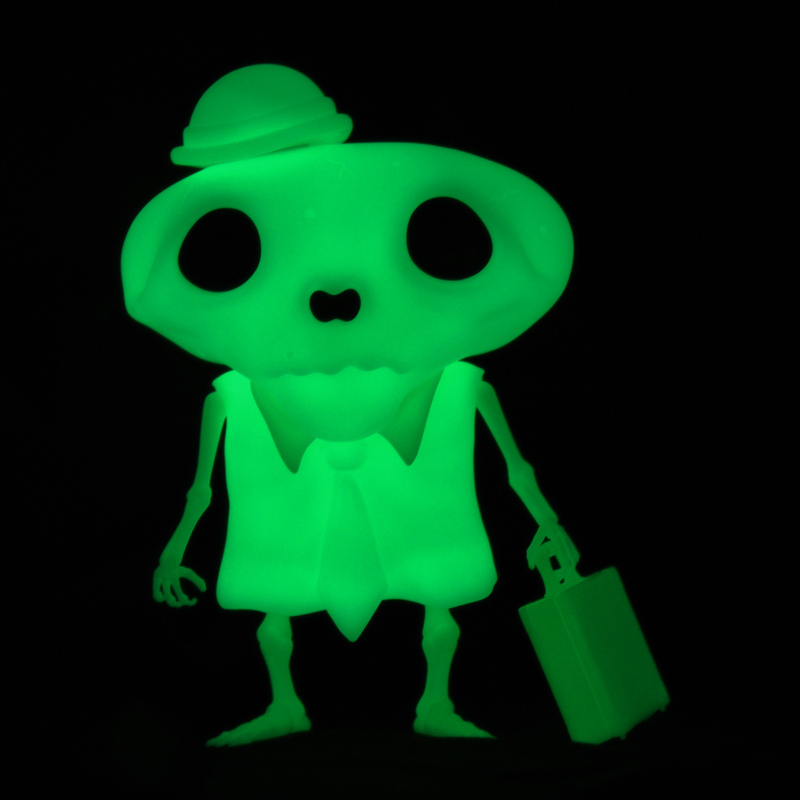 The fun starts when the lights go out, this one glows in the dark! 1/16. 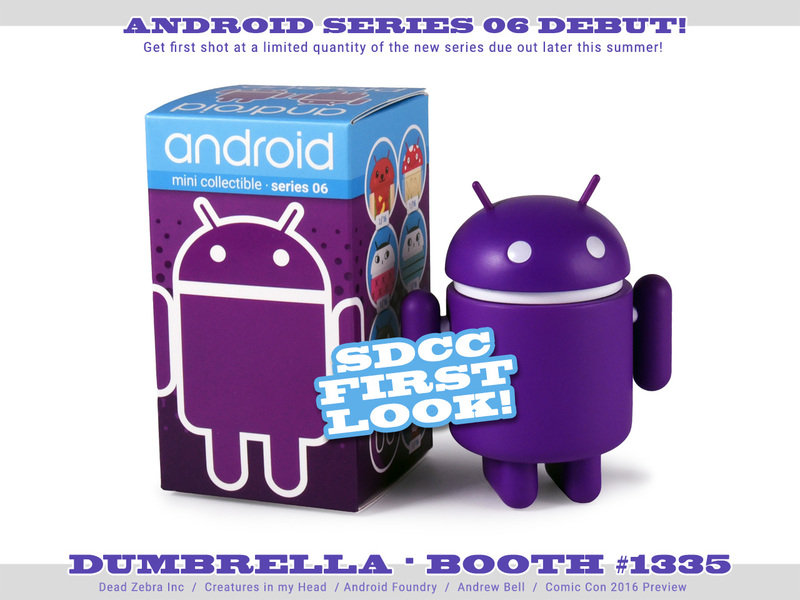 Final preview coming soon! 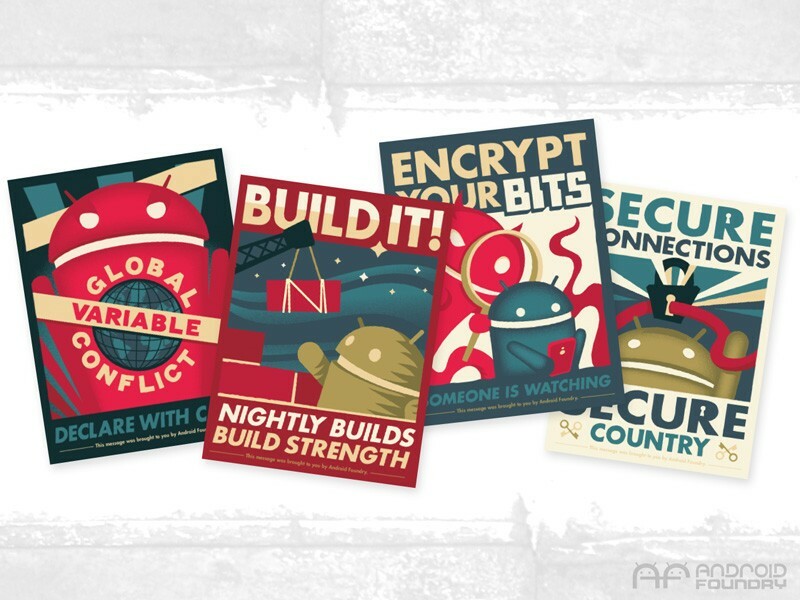 Part 3 of this series is here. 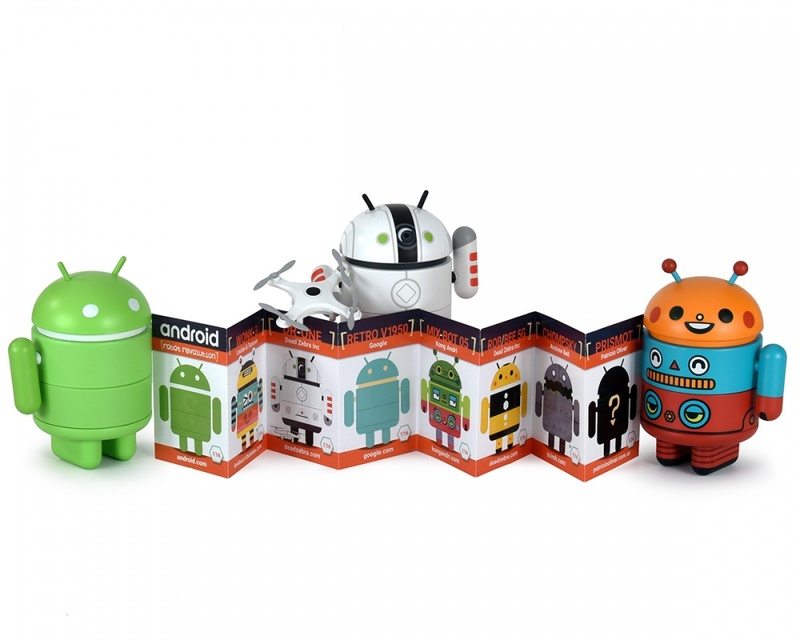 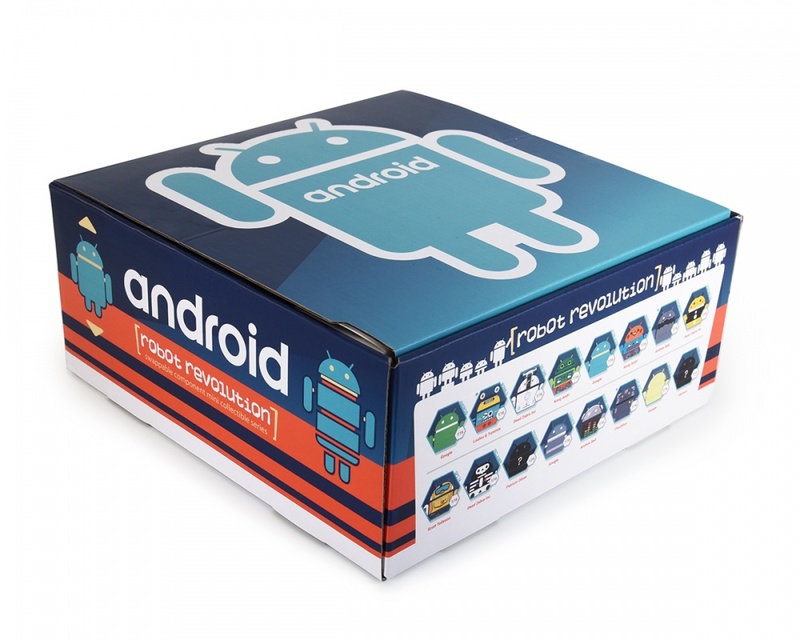 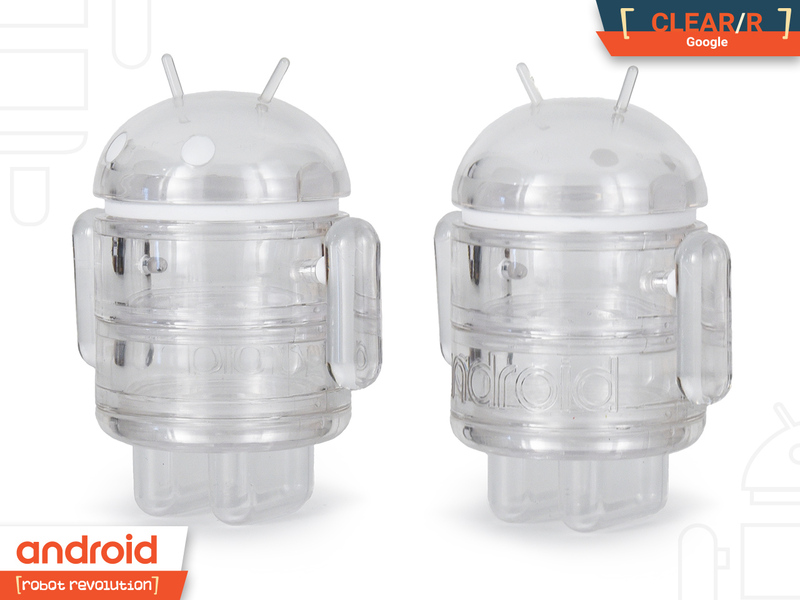 We’re back with more peeks at the upcoming Android mini collectibles Robot Revolution! 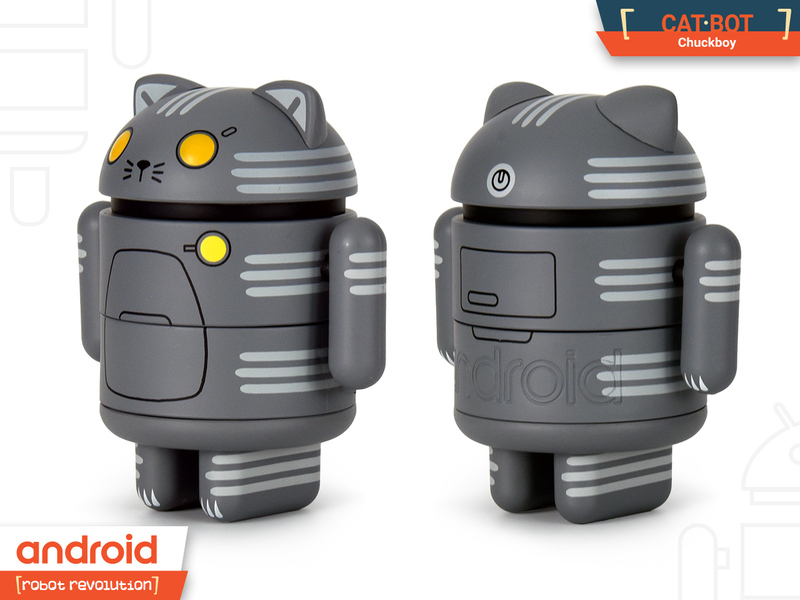 Artist Chuckboy brings us CAT·BOT! 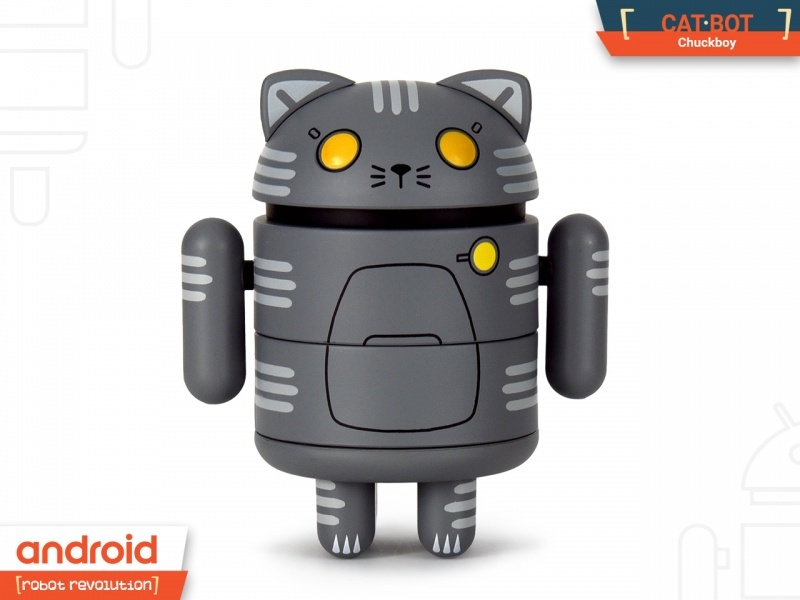 Much like a real cat, this bot is adorable but will probably attempt kill you if you touch it. 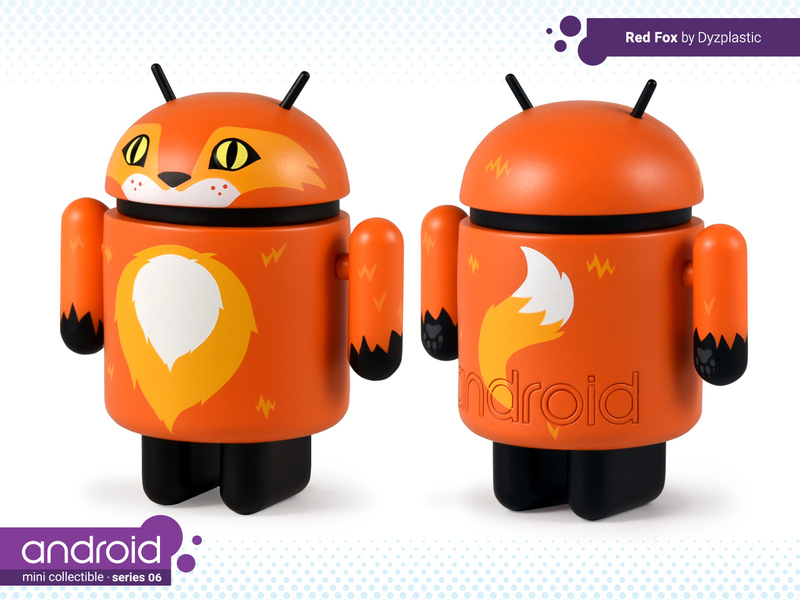 The grey edition is 1/16, but keep an eye out for a color chase variant of this cool cat! I won’t spoil what color it is.. but lets just say that Mondays do not compute. 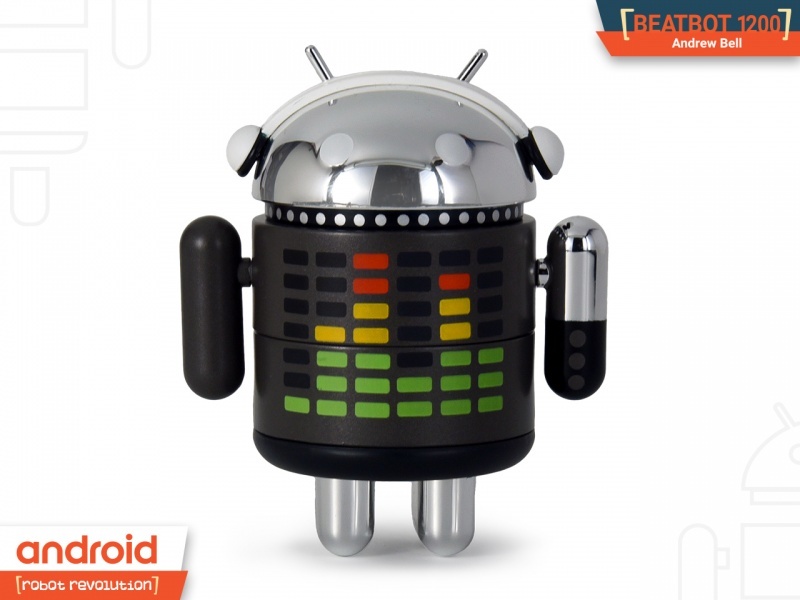 Famous international DJ Andrew Bell* drops the needle on BEATBOT 1200. 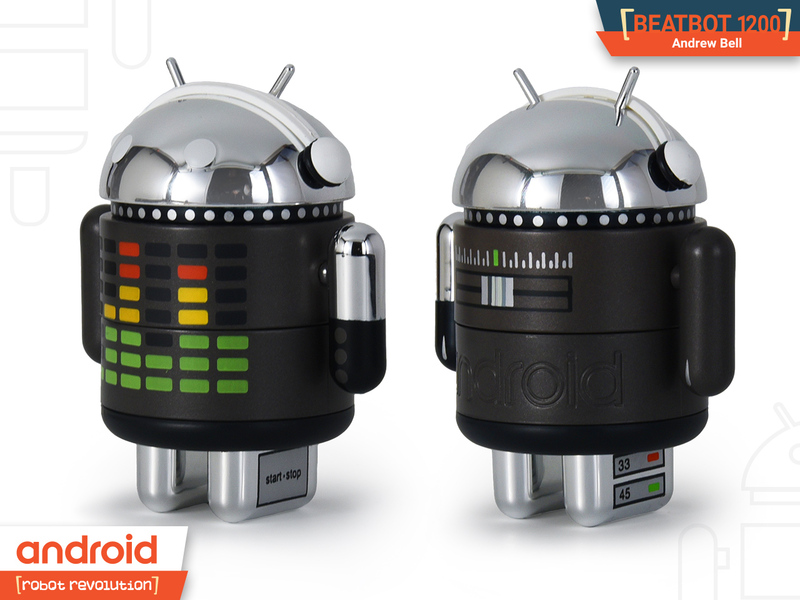 This design is inspired by the iconic turntable and features tiny headphones and reflective metallic finishes. 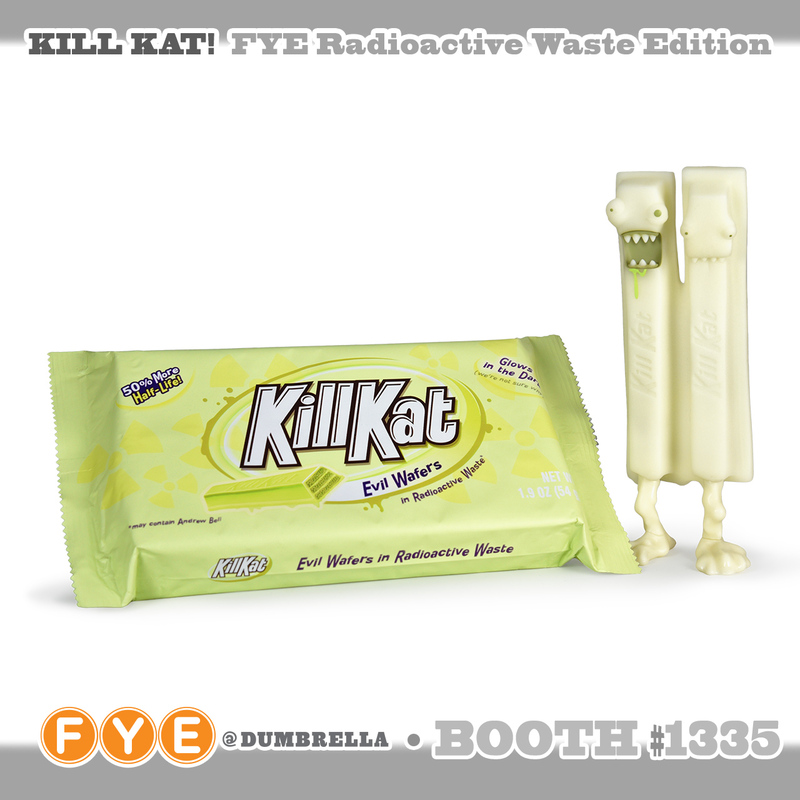 Mix it up with a 1/16 ratio! 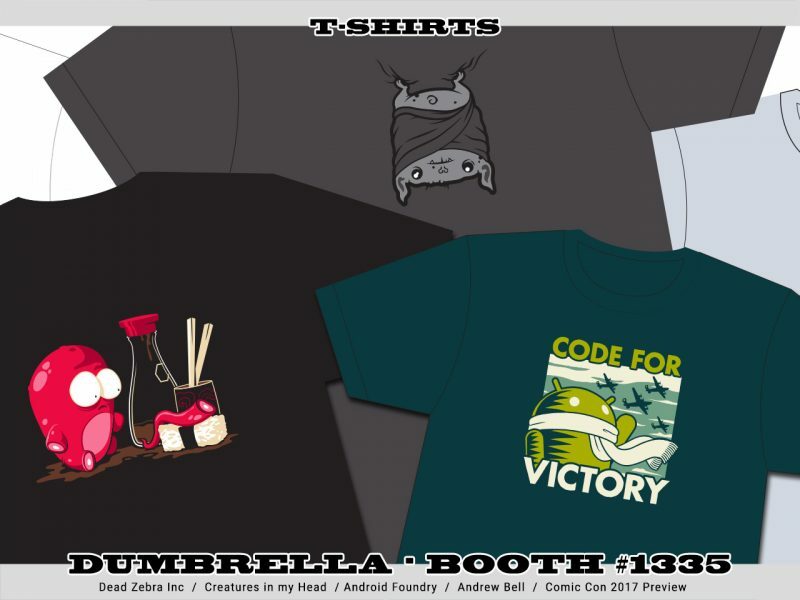 We’ll be previewing some of the 15 unique new designs (and 2 variants) here every few days leading up to the May release. 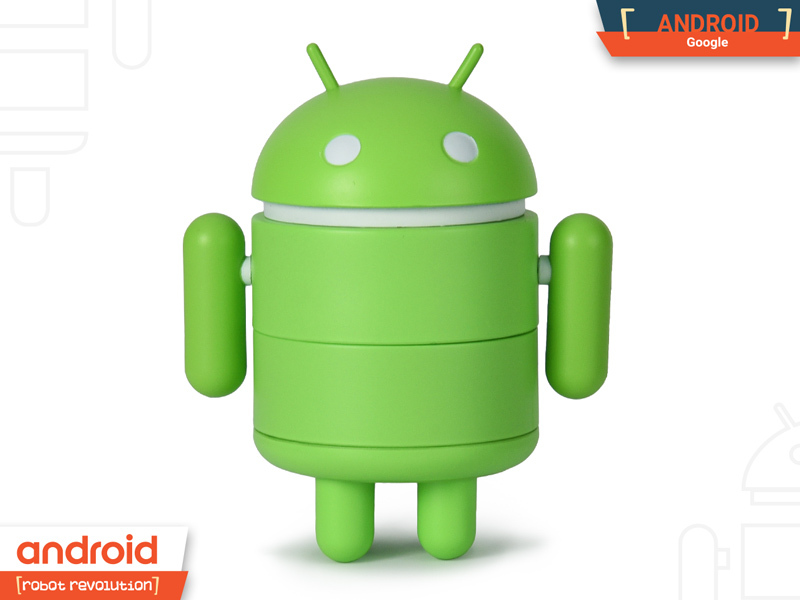 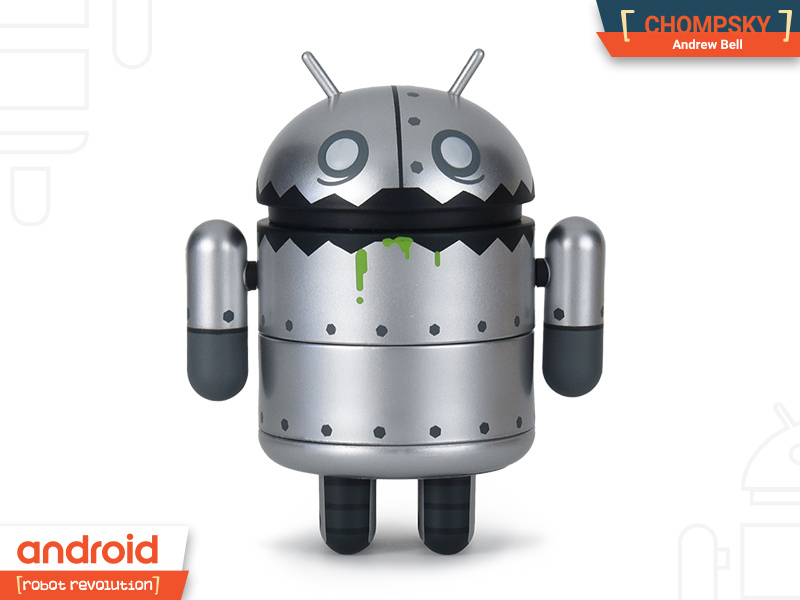 Android the OS has always been about customization, openness and flexibility. 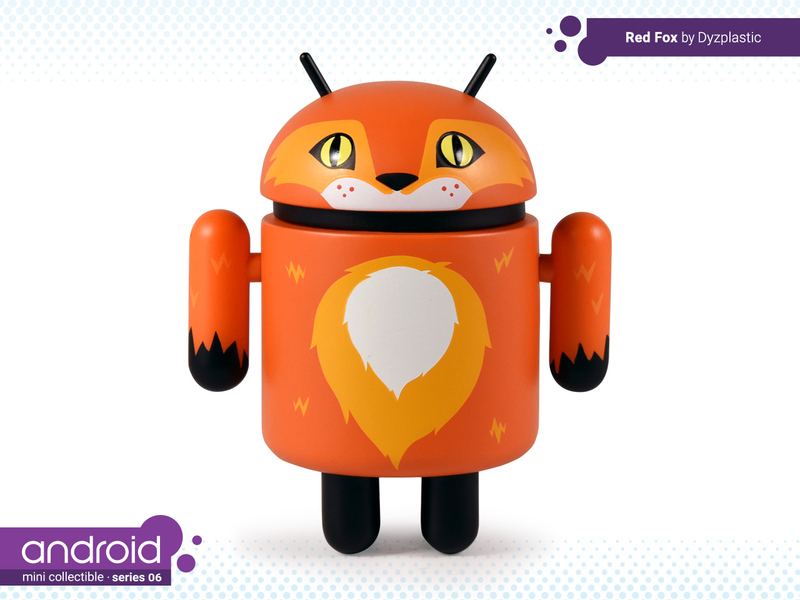 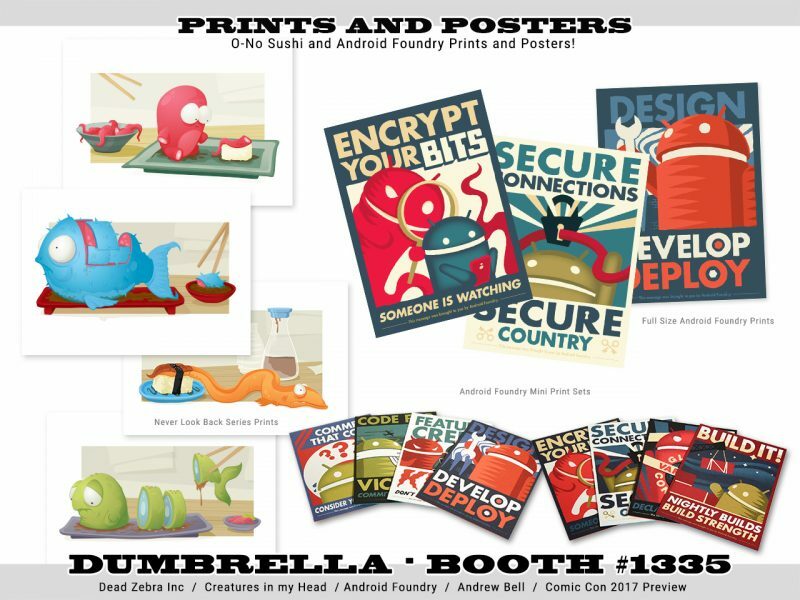 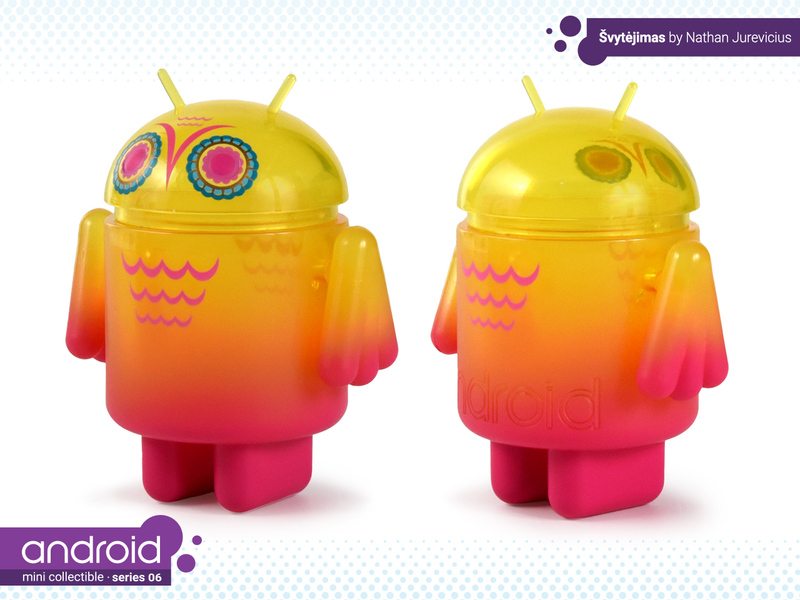 Over the last 9 years we have taken inspiration from that approach, creating hundreds of designs from the base Android collectible form. 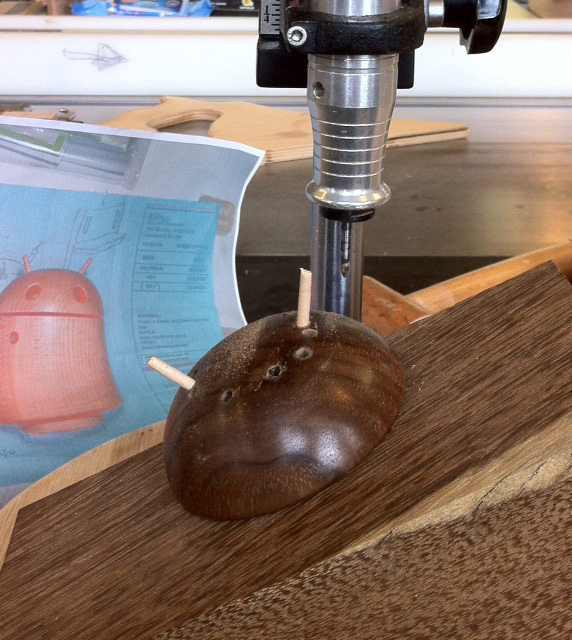 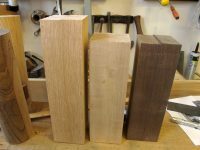 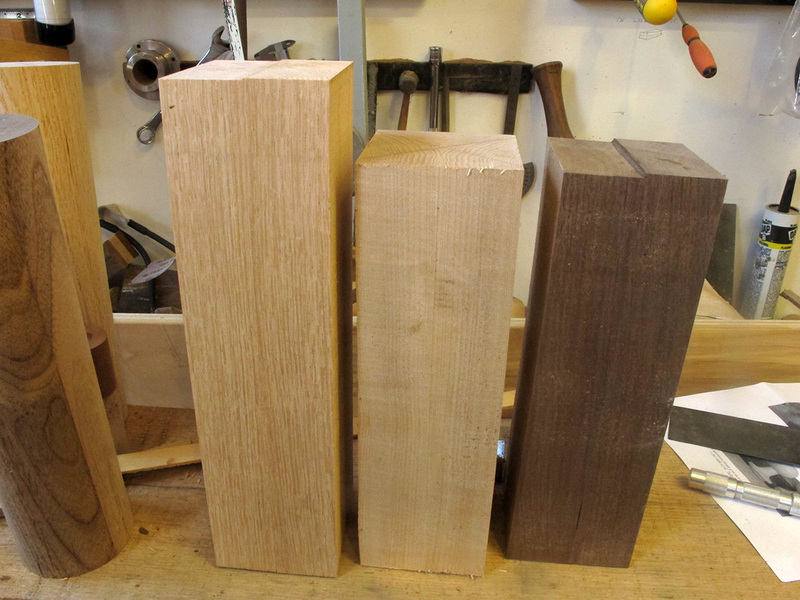 We even toyed with the idea swappable parts in the past, but these were always limited to smaller special projects. 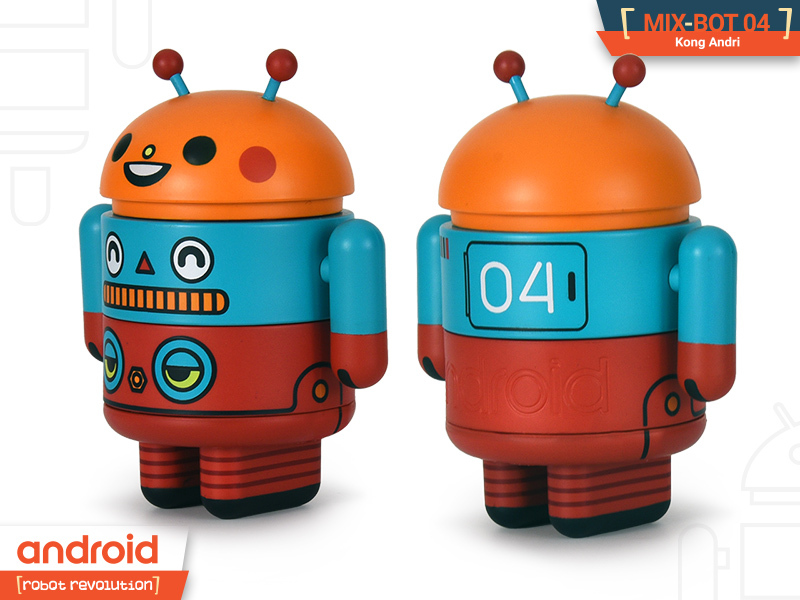 When prepping for a robot-themed Series 07, veteran Android artist Kong Andri submitted several ‘Mix-Bot’ concepts. 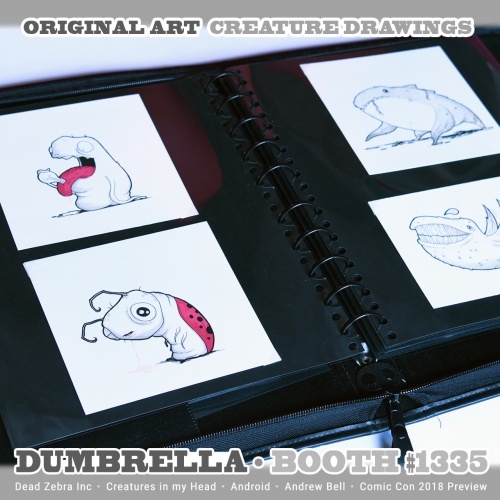 Inspired by his approach, we knew it was time to re-visit the idea.. and to get some artists on board! 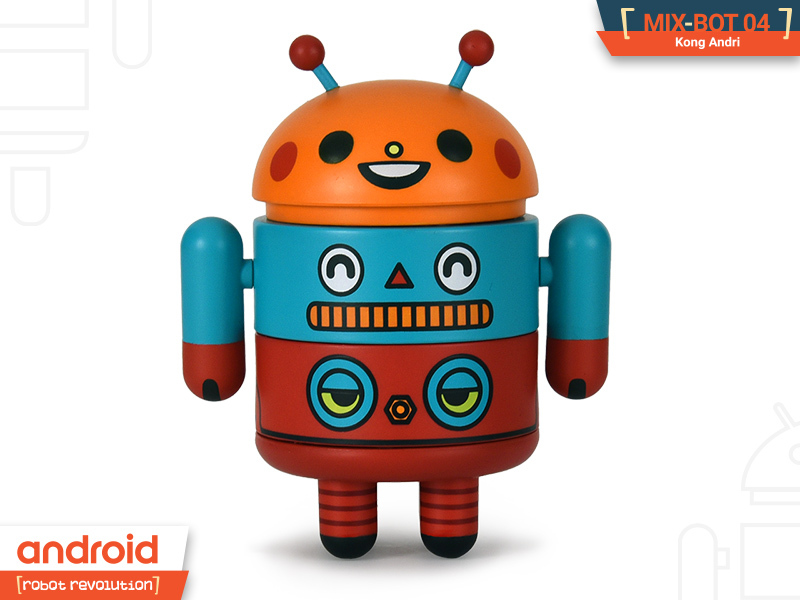 “Mix-Bot 04” is a colorful robot full of fun faces in a 1/16 ratio. 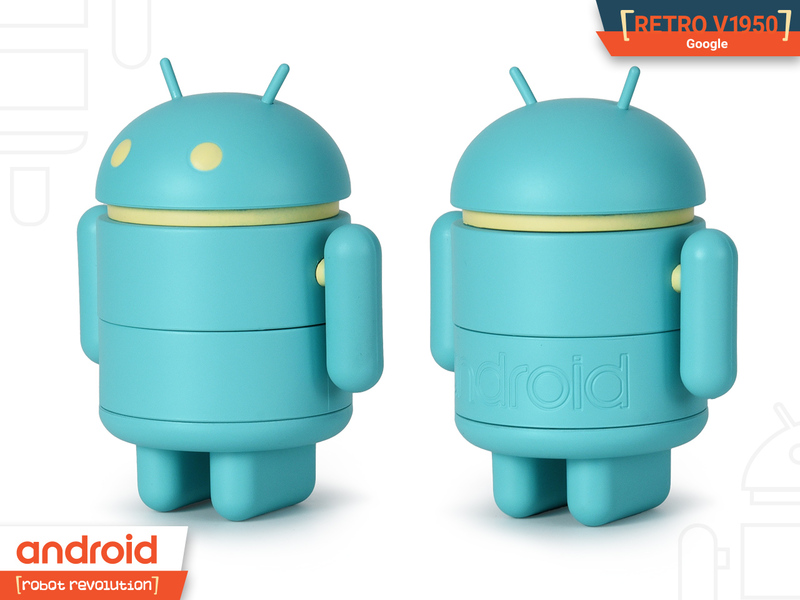 “Retro V1950” keeps it simple but classic in 50’s era teal / seafoam. 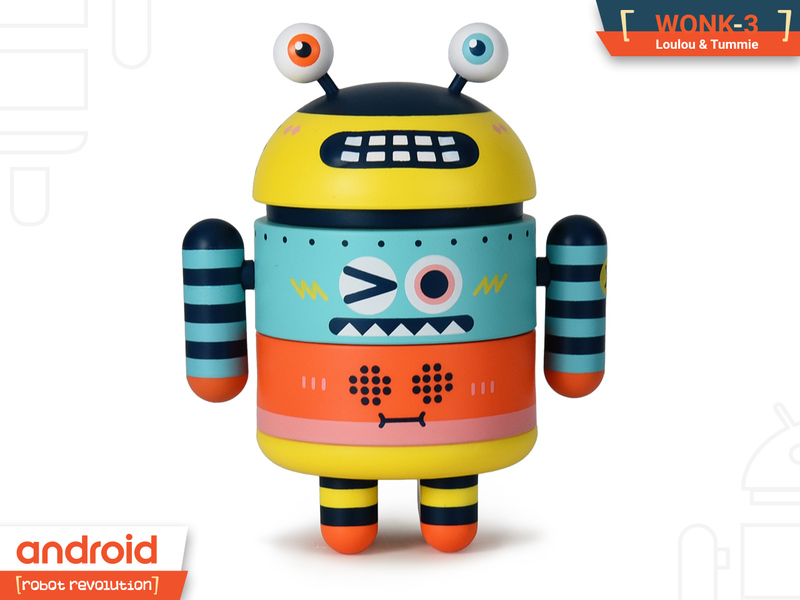 This Google created edition also has a 1/16 ratio. 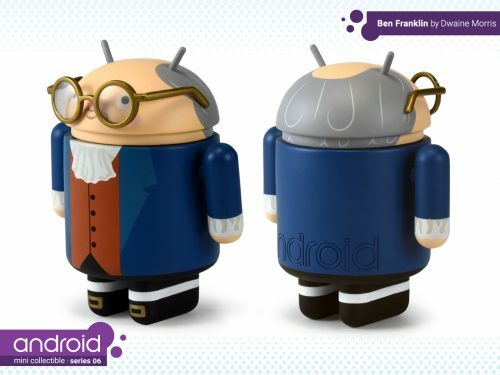 We tapped into the talents of toy customizer Dwaine Morris to bring you “Ben Franklin”! 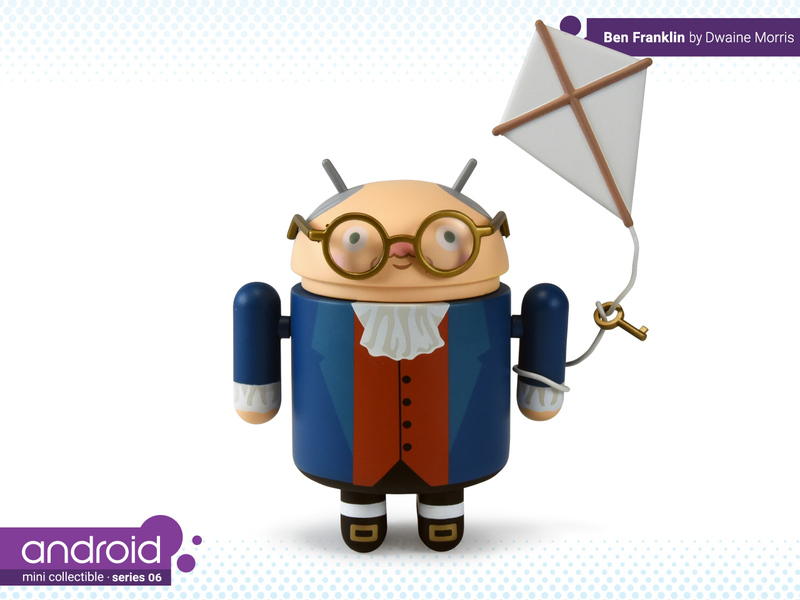 Ben is based off of a design from back in 2013 that left a lasting mark. Ben was translated Dwaine’s custom design into a this adorable production edition complete with trademark round glasses, a kite and a key! 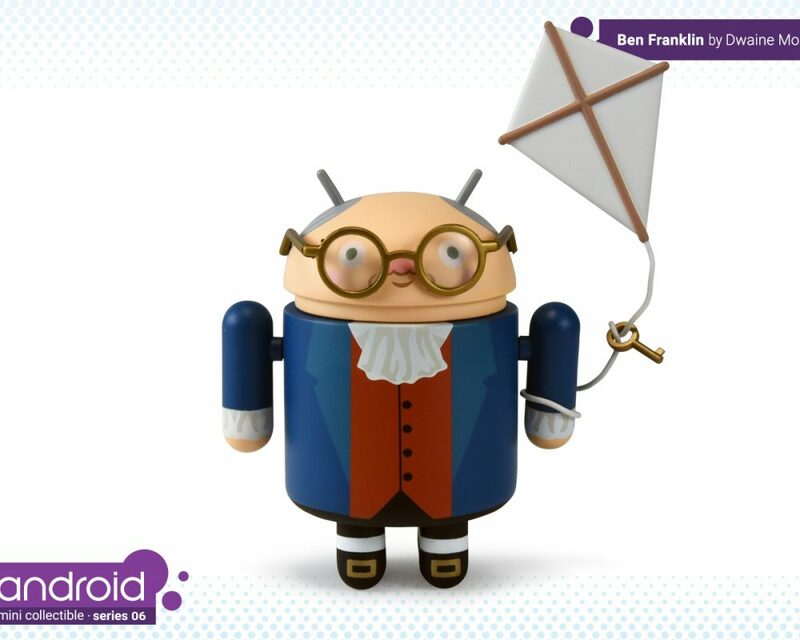 This mid-experiment Ben comes in a ratio of 1/16.. and I doubt you’d be shocked to learn that there is a chase variant to be discovered! 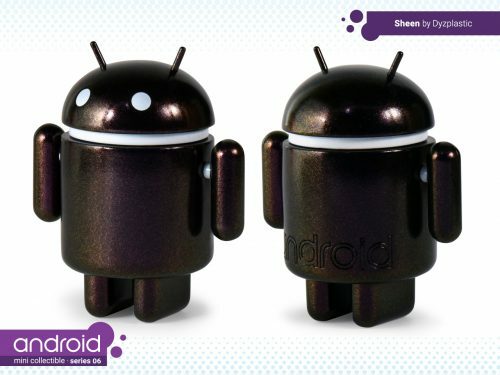 We also have this simple yet slick design, “Sheen” shows off with a shiny automotive-like metallic finish that changes with the light. Sheen* will add some shimmer to your shelf in a 1/16 ratio! 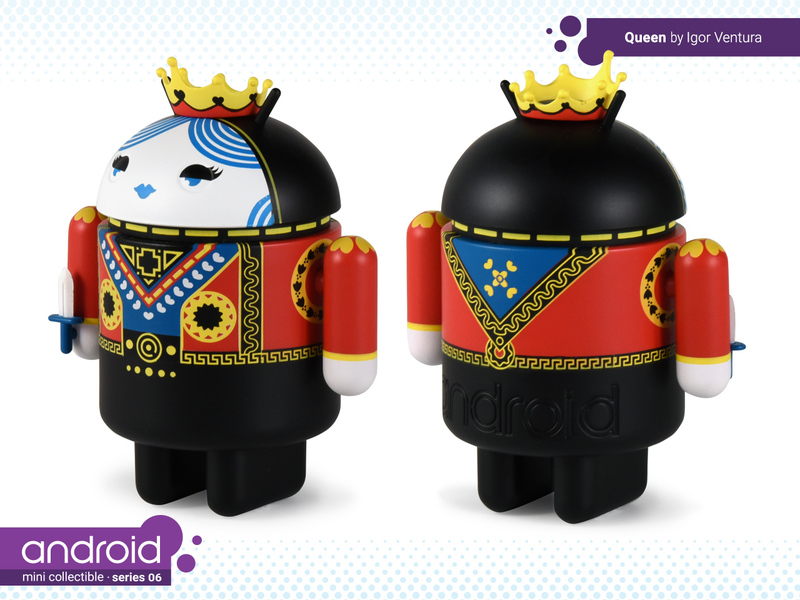 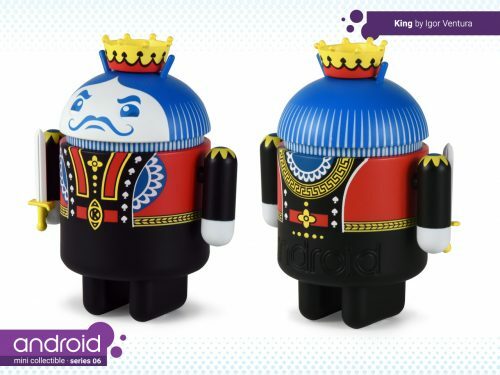 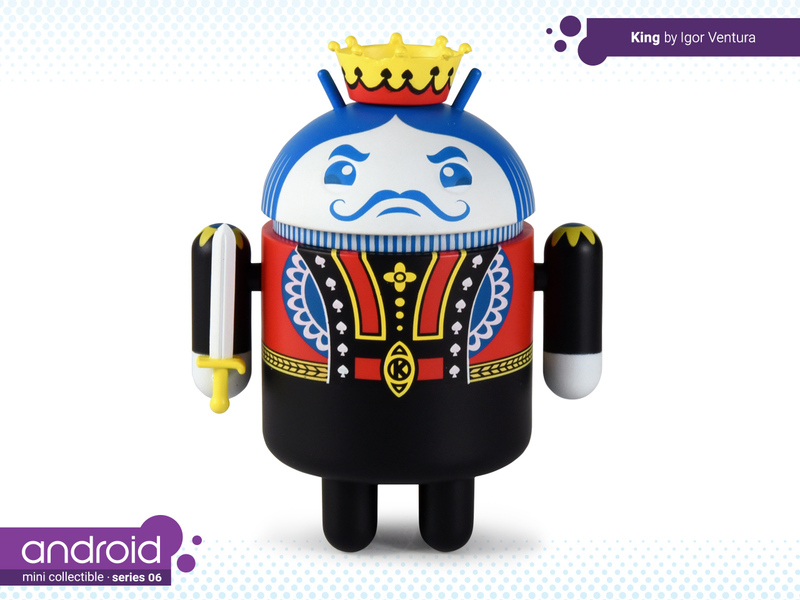 Suit up with artist Igor Ventura and his beautiful card-inspired “King” and “Queen” Android designs! 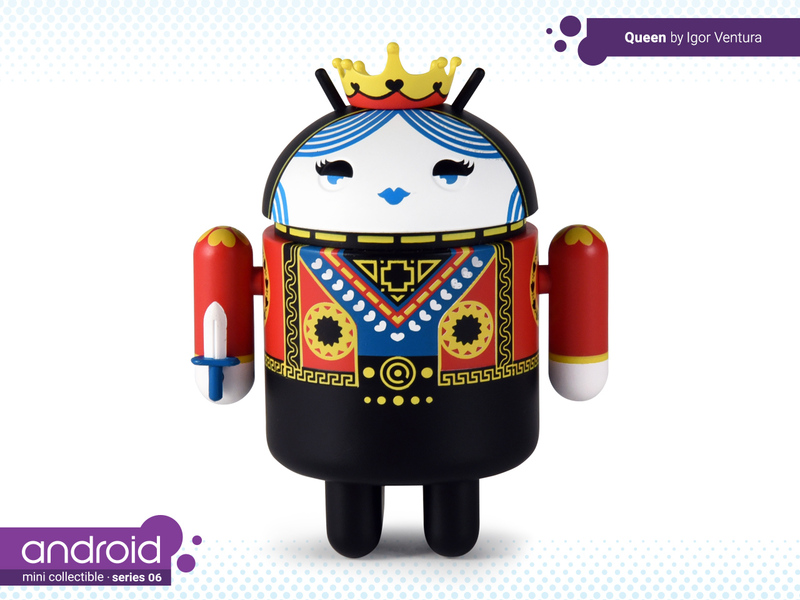 The Red Mutuca crew member plays a tight hand, with elaborate paint work and some fancy accessory crowns and weapons. It won’t be too hard to count these cards, both King and Queen come in a 1/16 ratio. 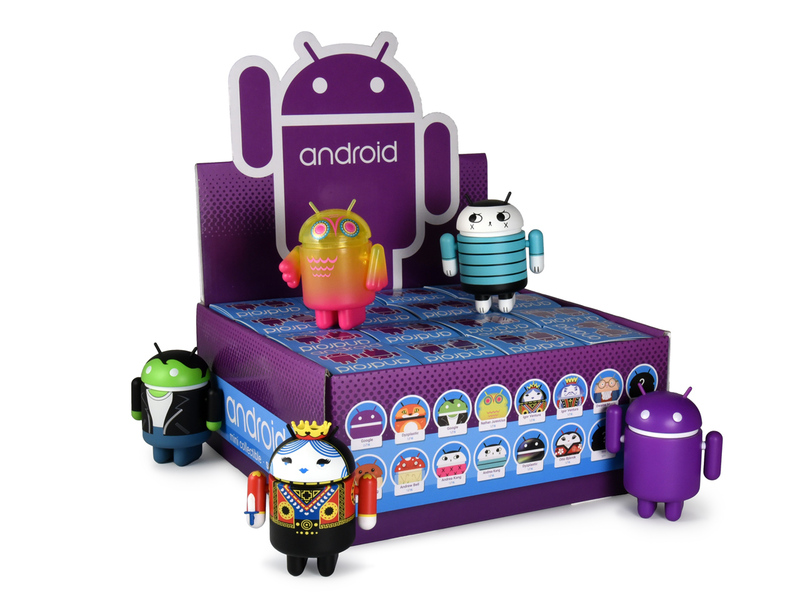 Finding all the face cards might prove a bit more difficult, the odds are stacked against you. 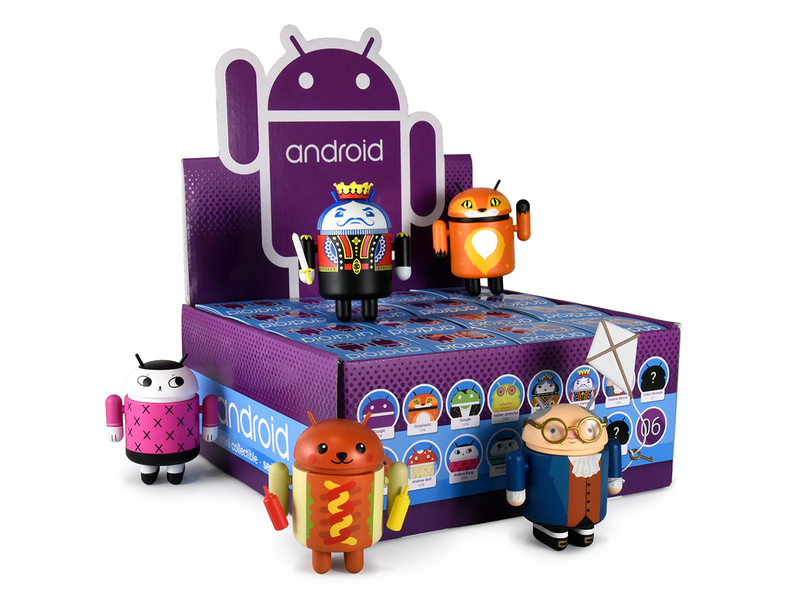 I’m also happy to announce that our shipment has finally arrived, and Android Series 06 will be going on sale at retailers both online and in the real world starting soon! Here are a few places you might be able to find Series 06! 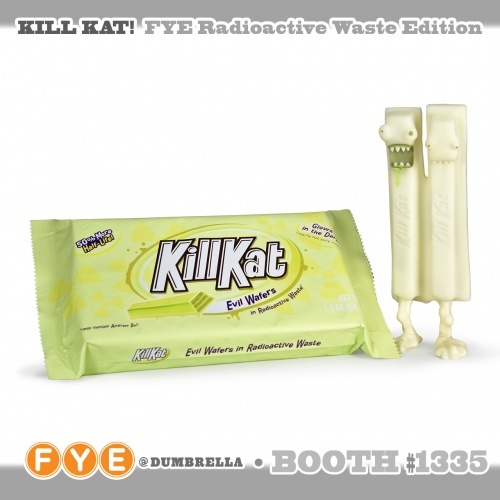 Warning: Eating this will not make you bigger! Mario never met a mushroom like this. 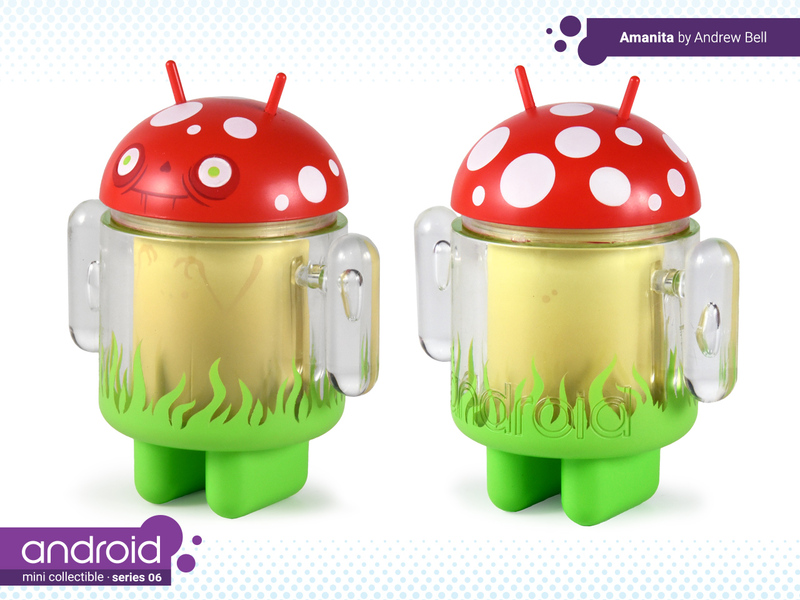 Andrew Bell reconciles his love for monsters and his distaste for mushrooms with his “Amanita” Android design! 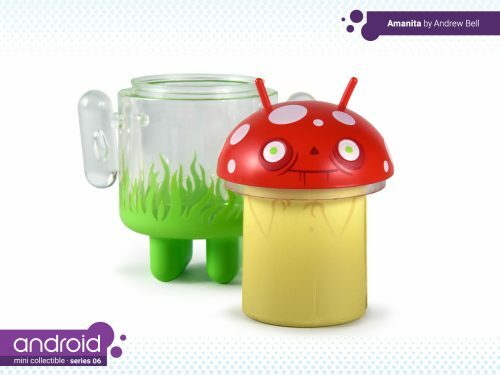 Amanita features a clear body with ‘stem’ insert. 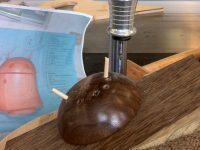 Pop his head off and take out the insert to make a stand-alone ‘mushroom’ figure! 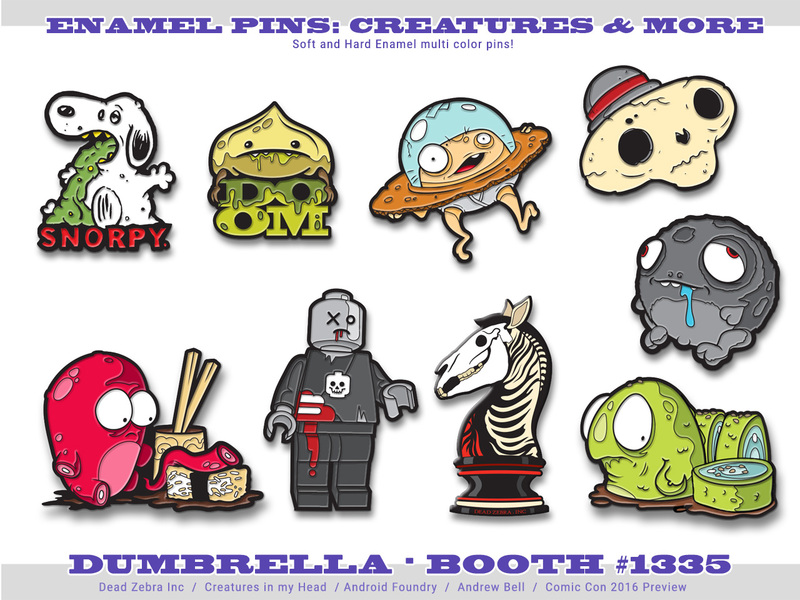 Amanita is packed in a 1/16 ratio. Google grabs its vintage jeans and leather jacket and throws it back to the 50s with this ‘Greaser” design! 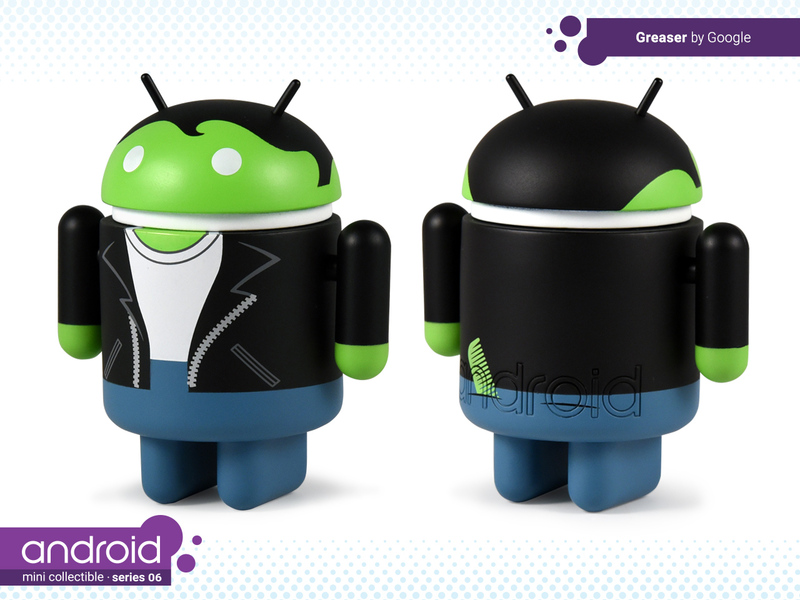 Grab a comb and a full case because Greaser slides in at a 1/16 ratio! Today we’re seeing double.. two complimentary and adorable designs from our friend artist Andrea Kang, “Miss Jinx” and “Bad Boss”! 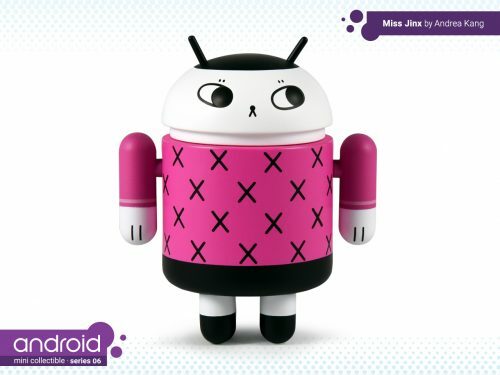 Miss Jinx sports a pink top, and comes packed in a 1/16 ratio. 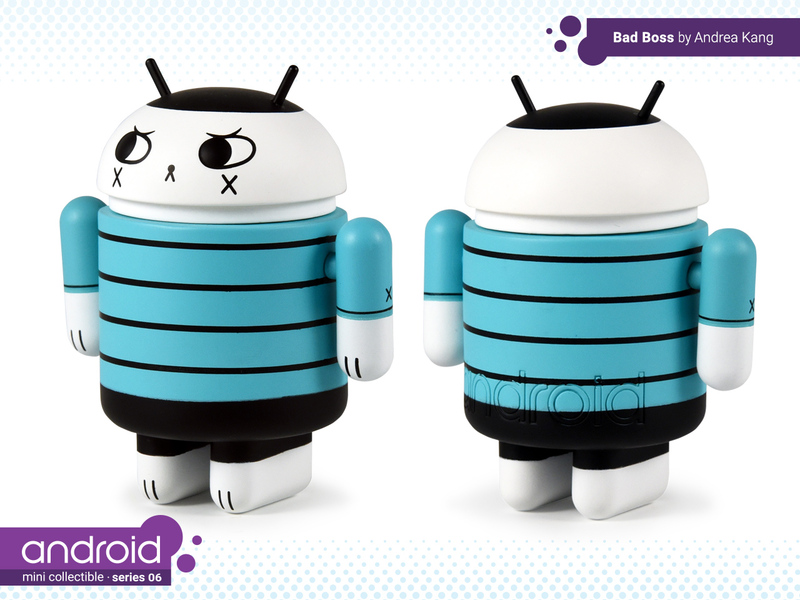 Bad Boss keeps an eye on things, donning stripes with a 1/16 ratio as well. 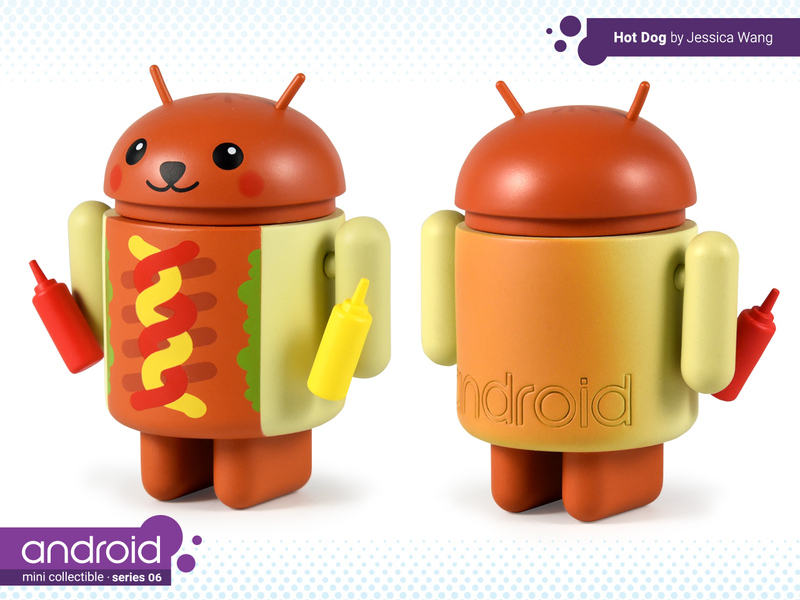 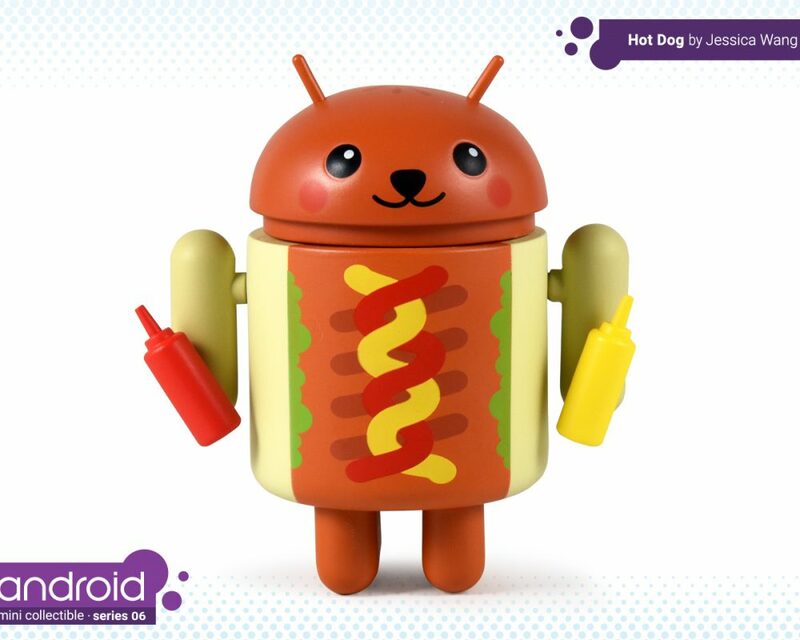 Keep an eye on these two, I think one of them is up to no good..
Avid Android mini collector, fan and Google employee Jess Wang cooks up a tasty treat for us with her “Hot Dog” design! Against the best wishes of the National Hot Dog and Sausage Council (it’s a real thing! ), this dog comes adorned with both mustard AND ketchup, along with two little squeeze bottle accessories. With a 2/16 ratio, you can share a hot dog with a friend! 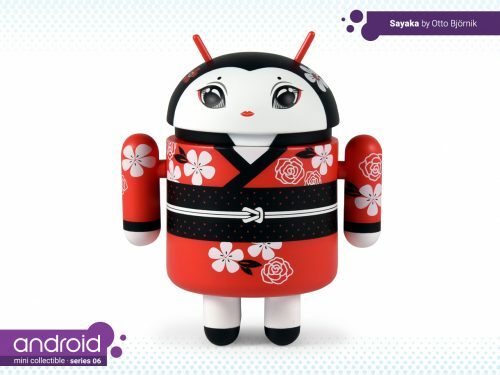 Otto Björnik, an artist of many talents based in the Philippines, translates his elegant geisha design with “Sayaka”. 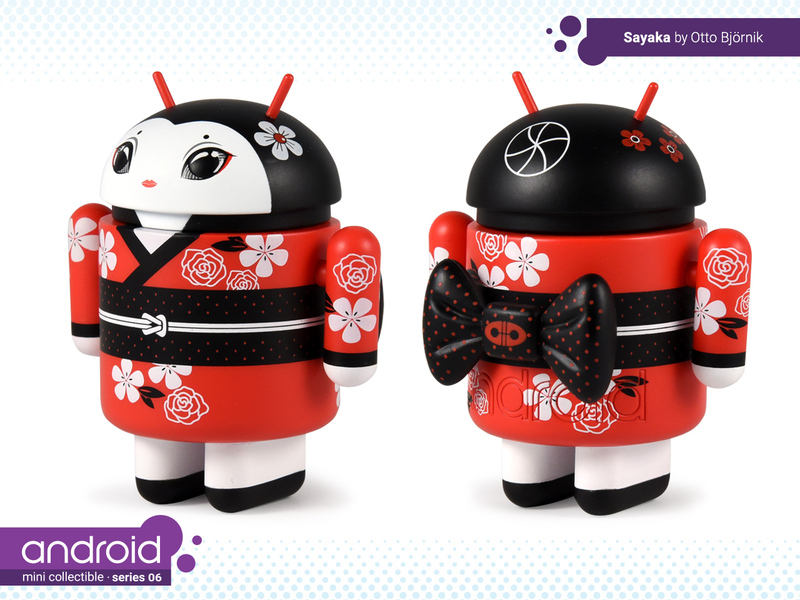 She features super sharp lines and includes a sculpted obi bow on her back. Sayaka comes in a 1/16 ratio. 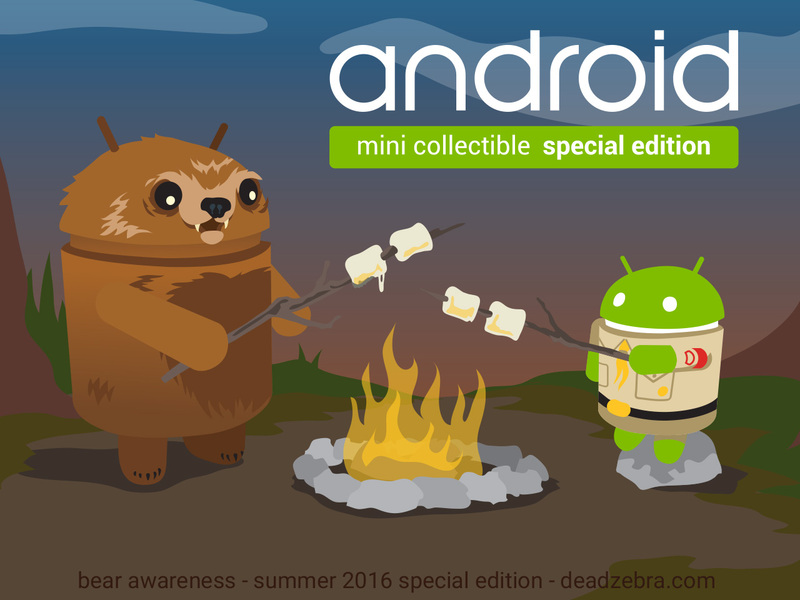 Summer 2016 Android: Bear Awareness! 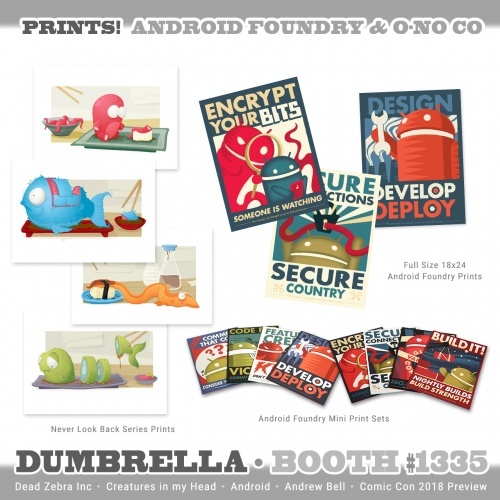 Going camping this summer? 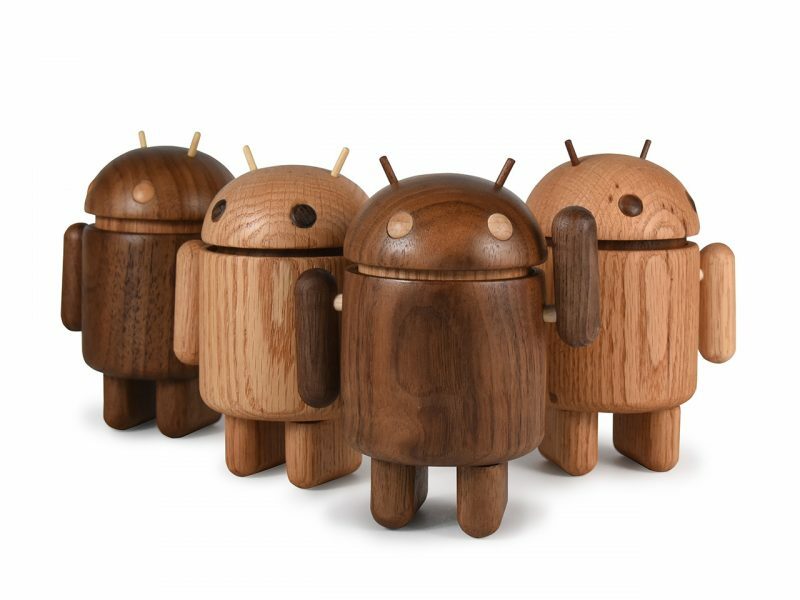 Spending some time with some scouts in the great outdoors taking selfies? 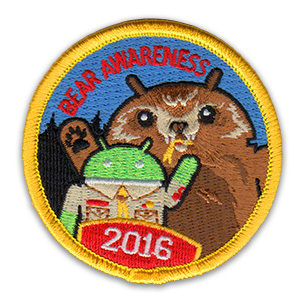 Remember to be aware, be aware of bears. 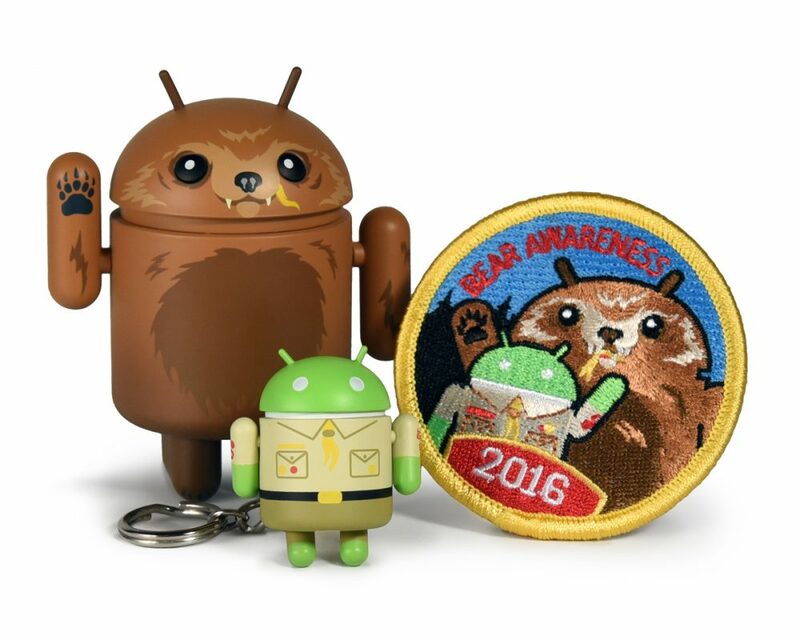 Be Bear Aware! 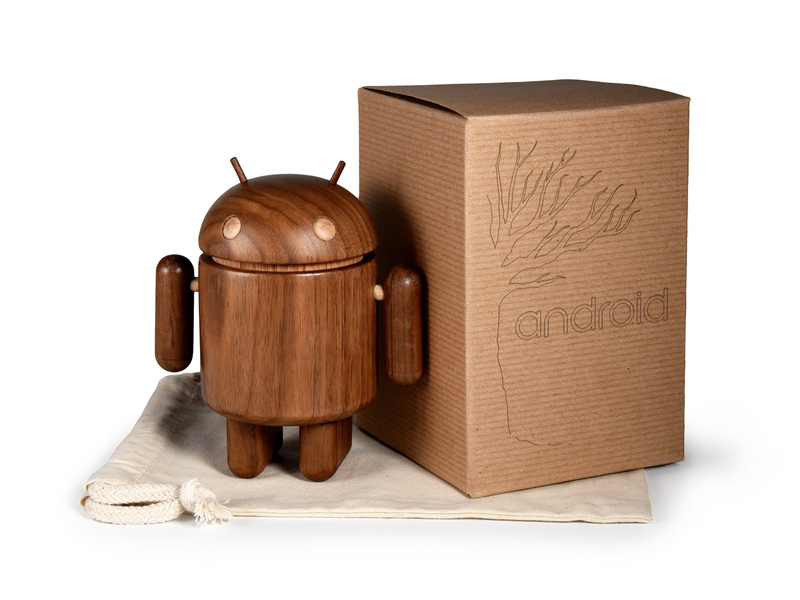 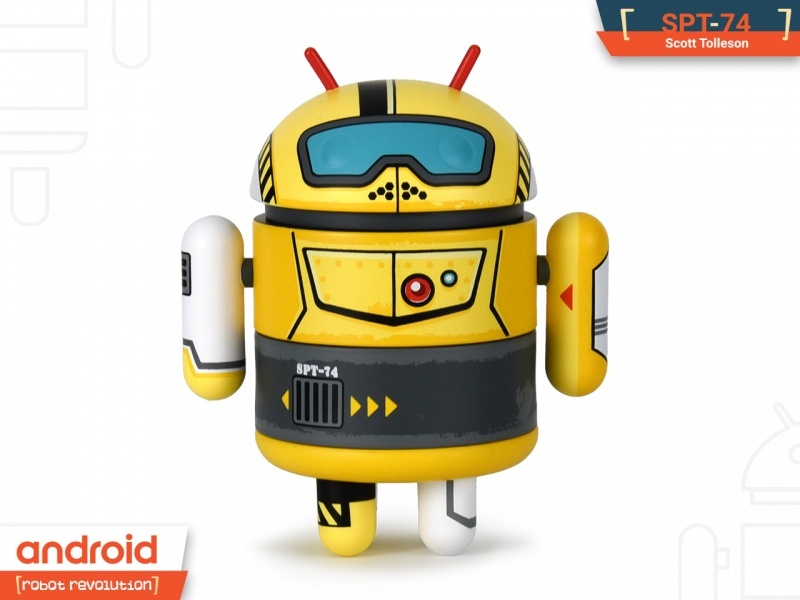 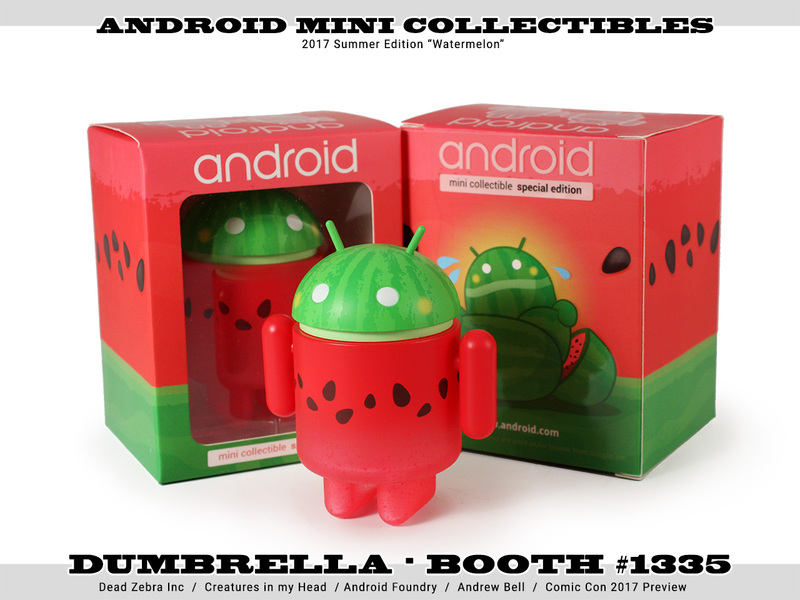 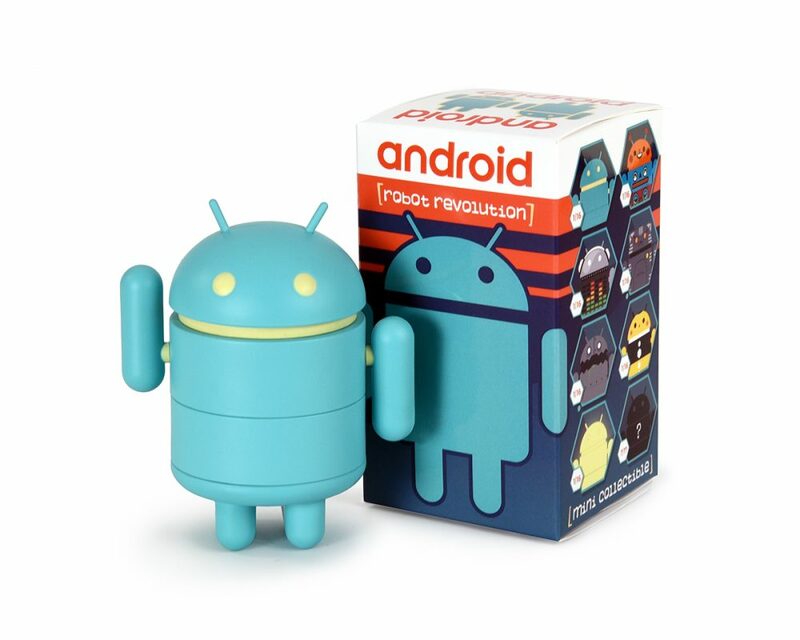 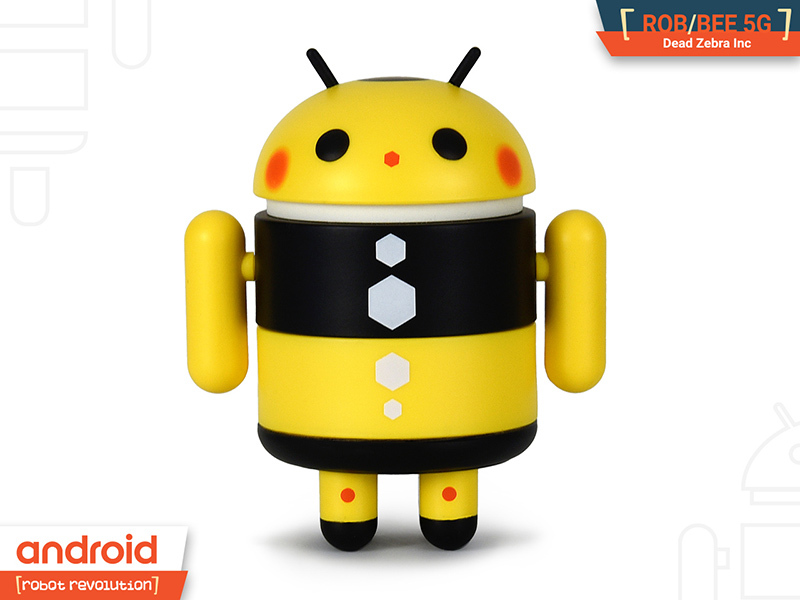 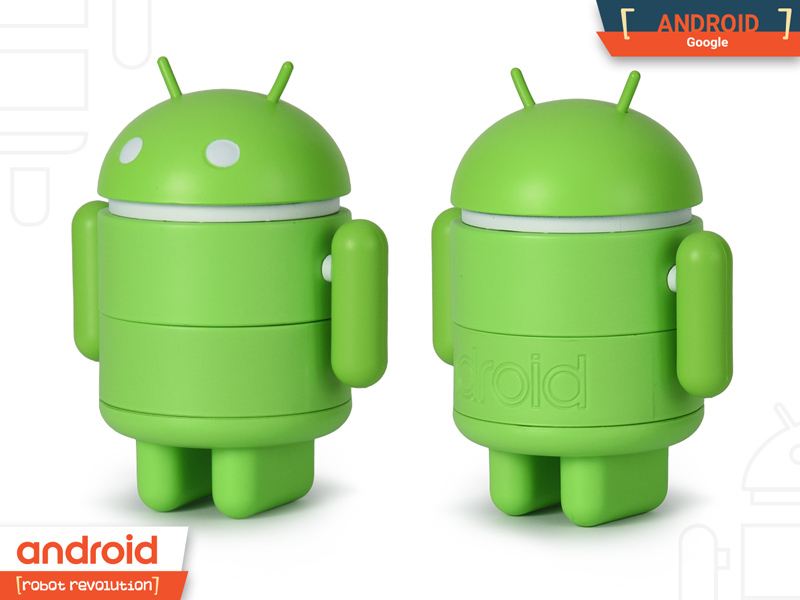 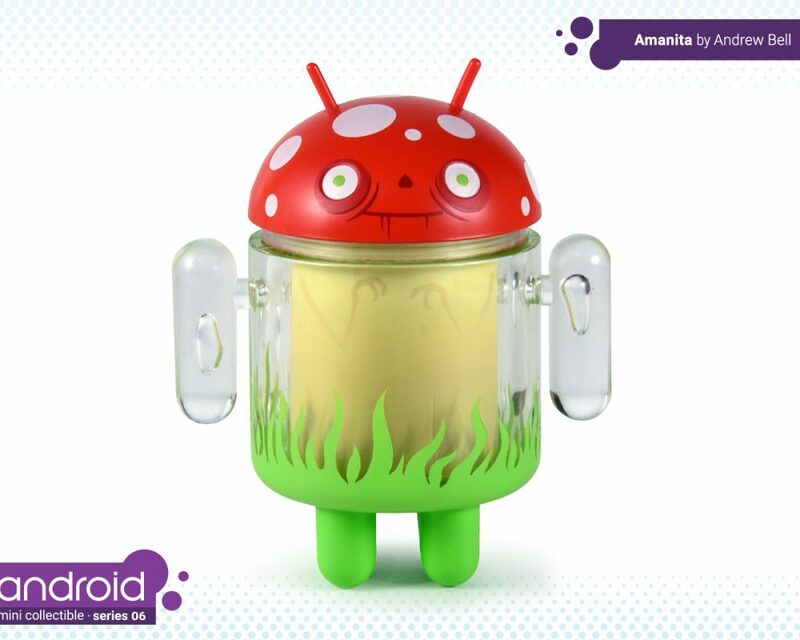 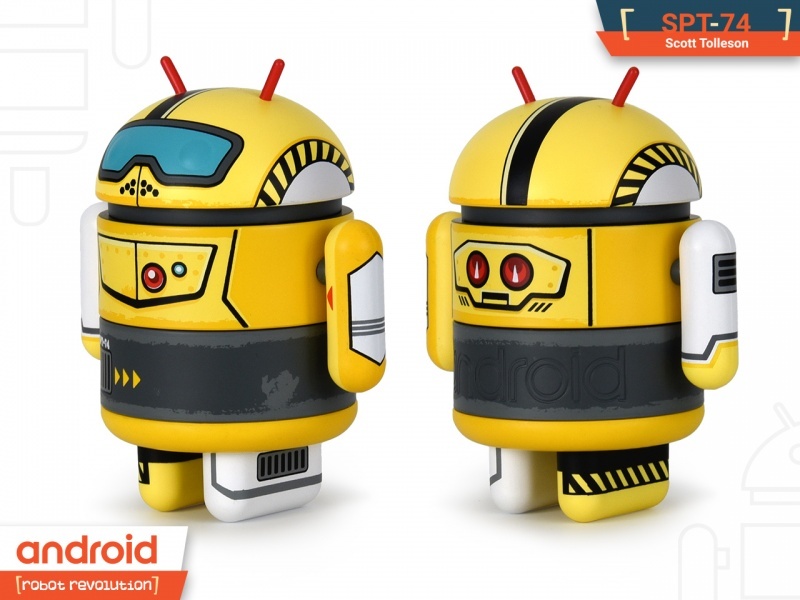 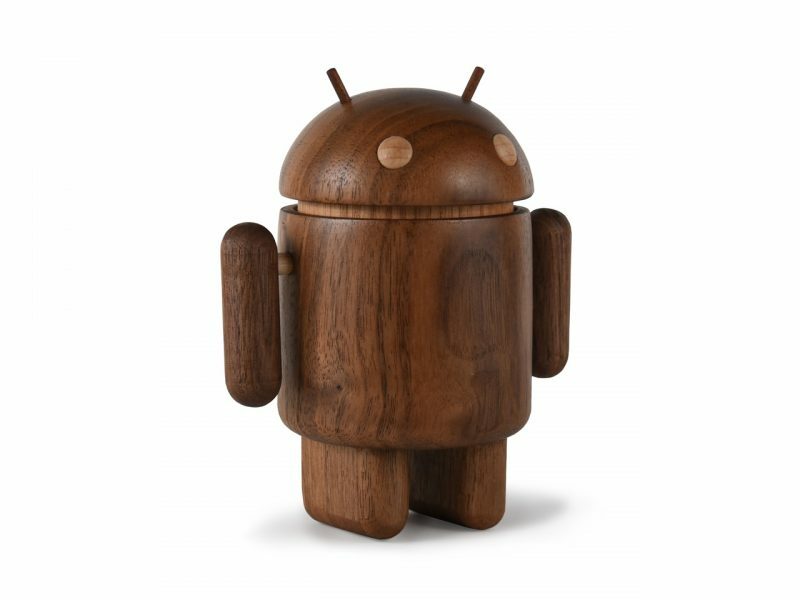 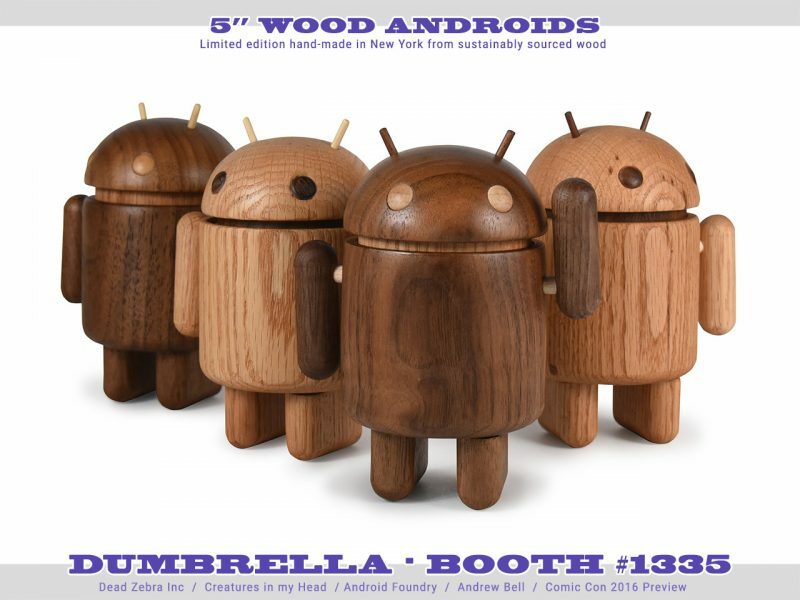 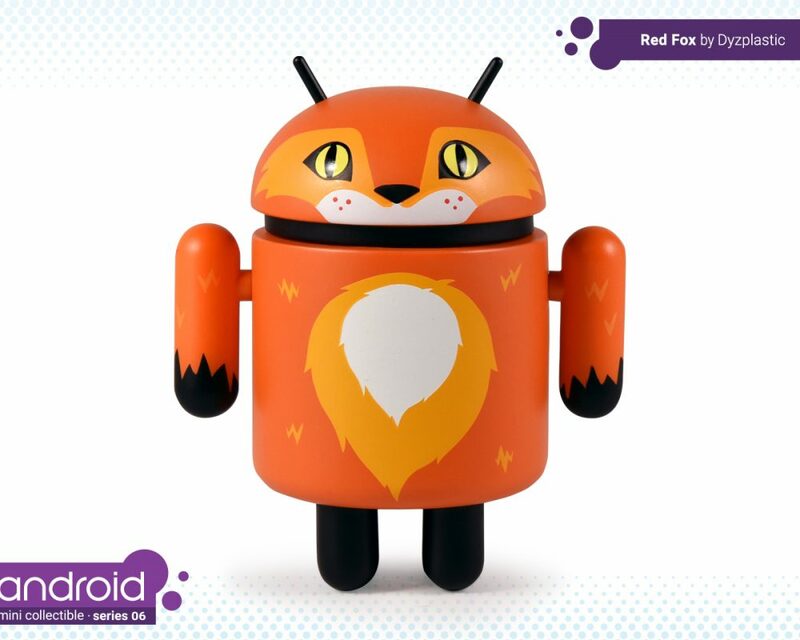 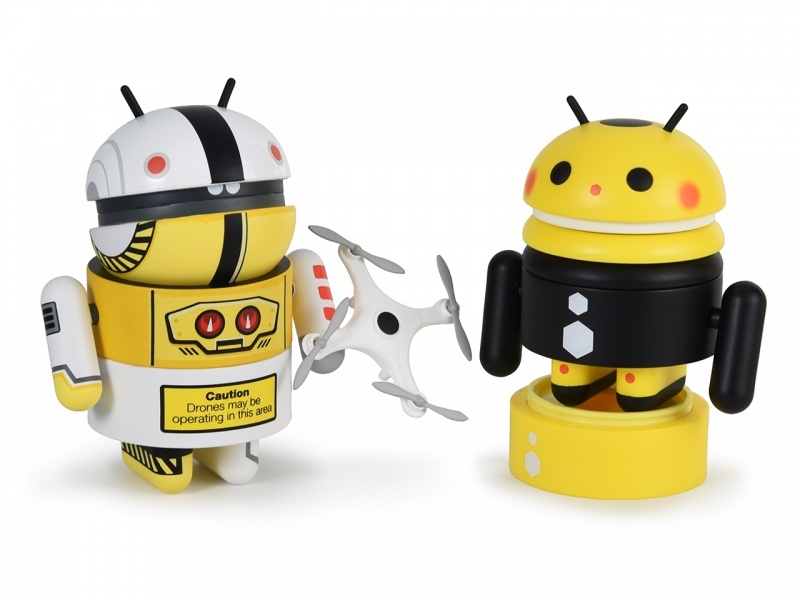 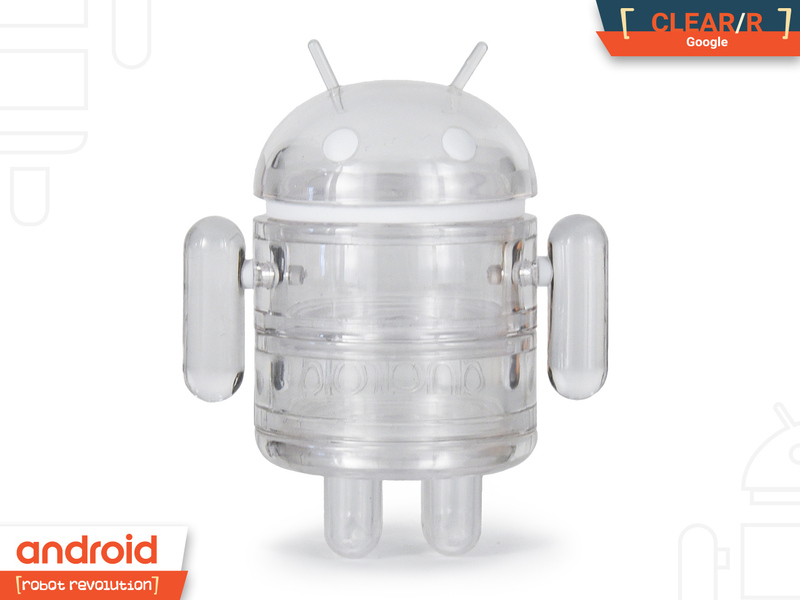 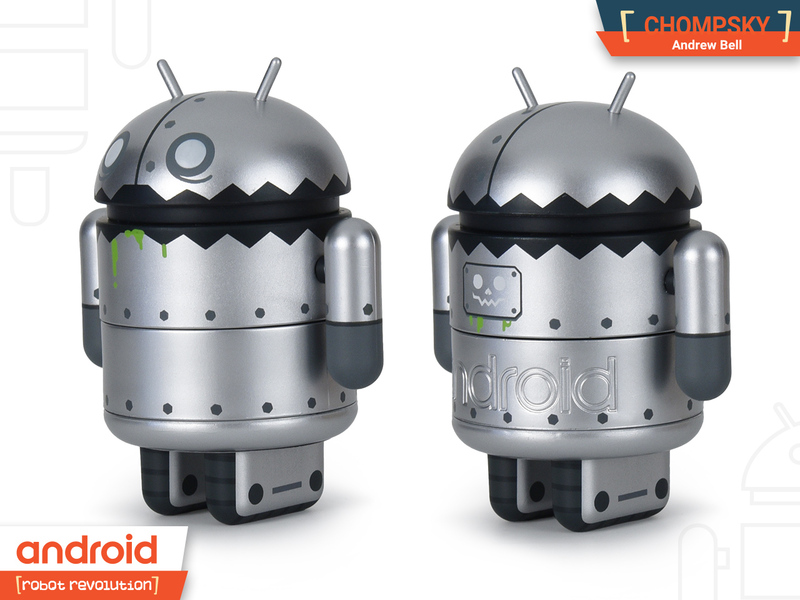 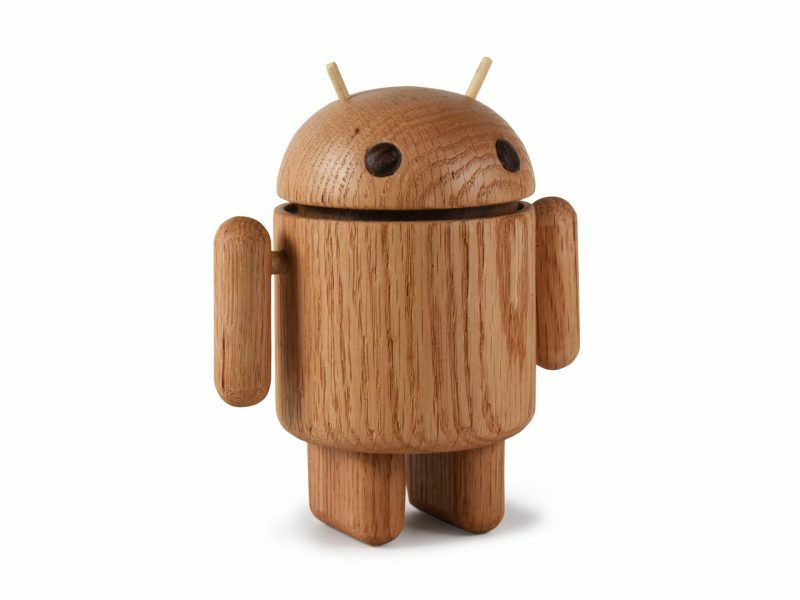 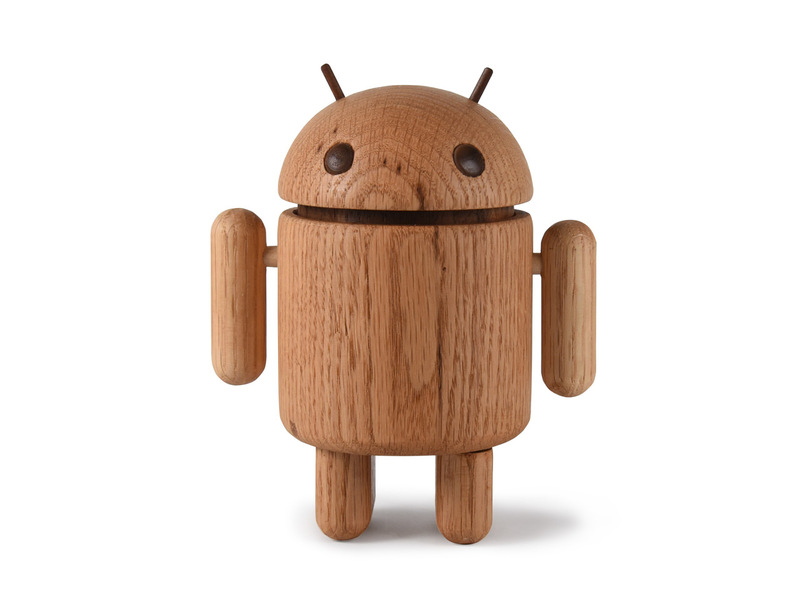 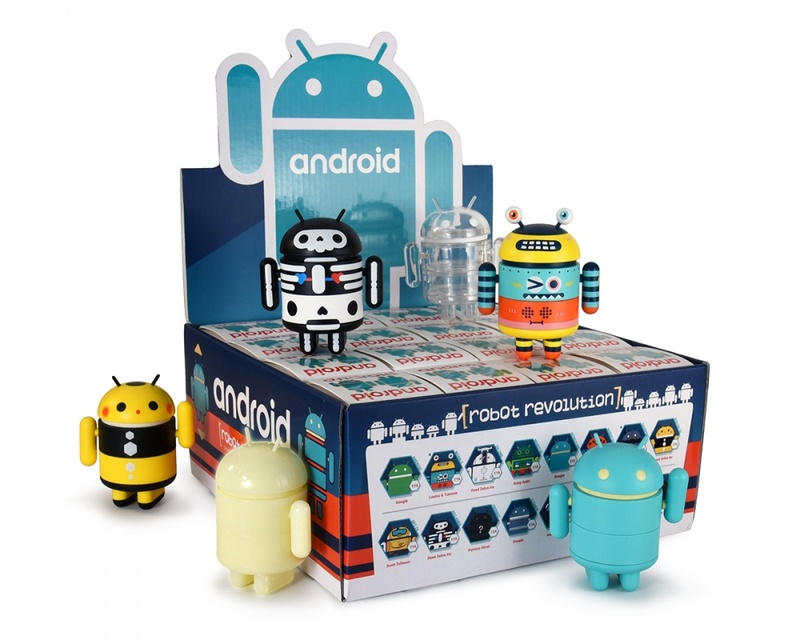 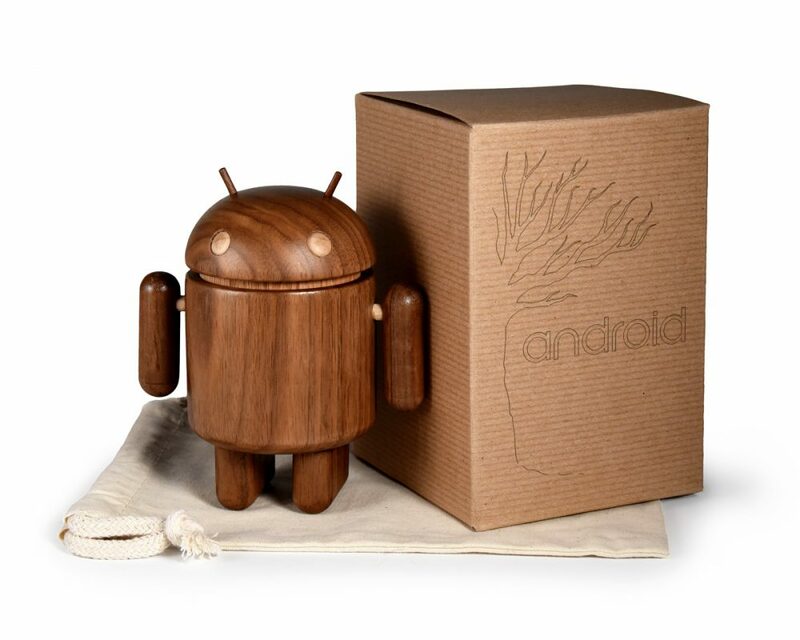 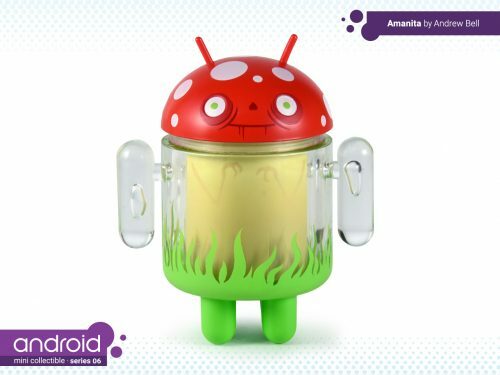 Here’s the new Summer 2016 edition Android Mini Collectible! Featuring a little scout, out in the woods, earning his wilderness credentials.. or not. 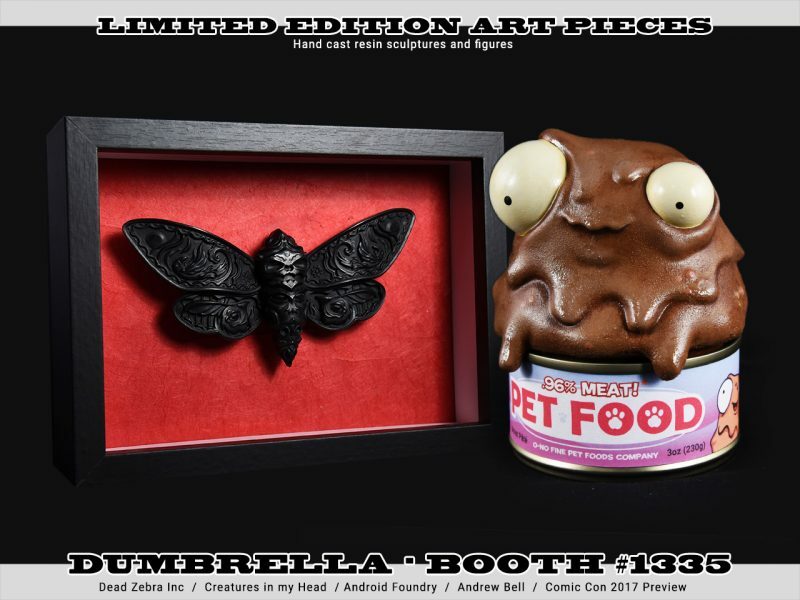 Both of these guys come packed together in a combo window box, and we even put together a special 2½” merit badge custom sewn patch for your scout shirt or sash! Let everyone know that you are fully aware of bears! 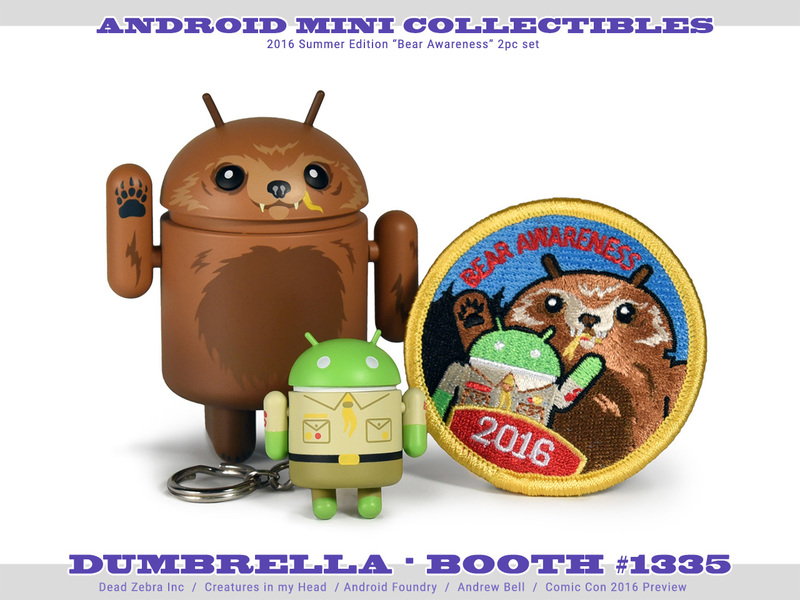 Bear Awareness will be available from the Dead Zebra Shop in late July! 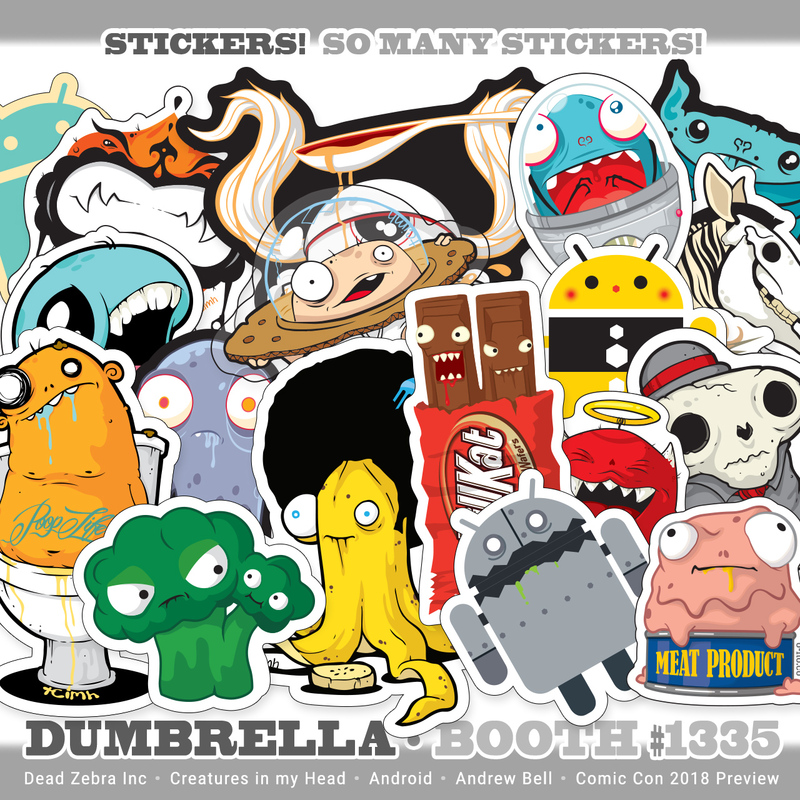 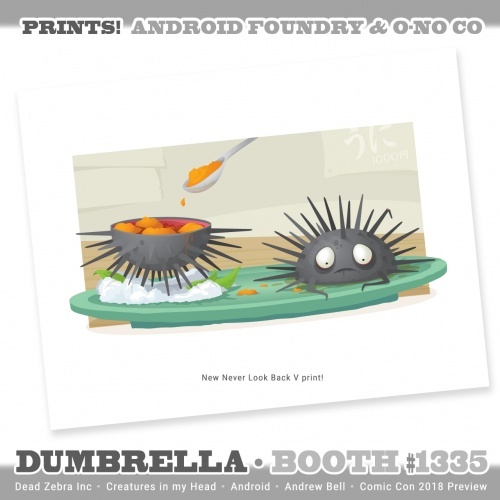 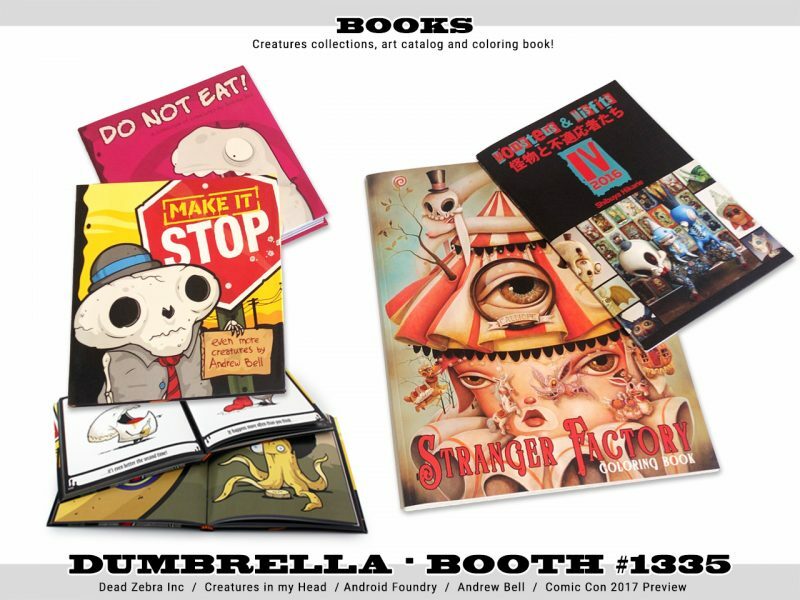 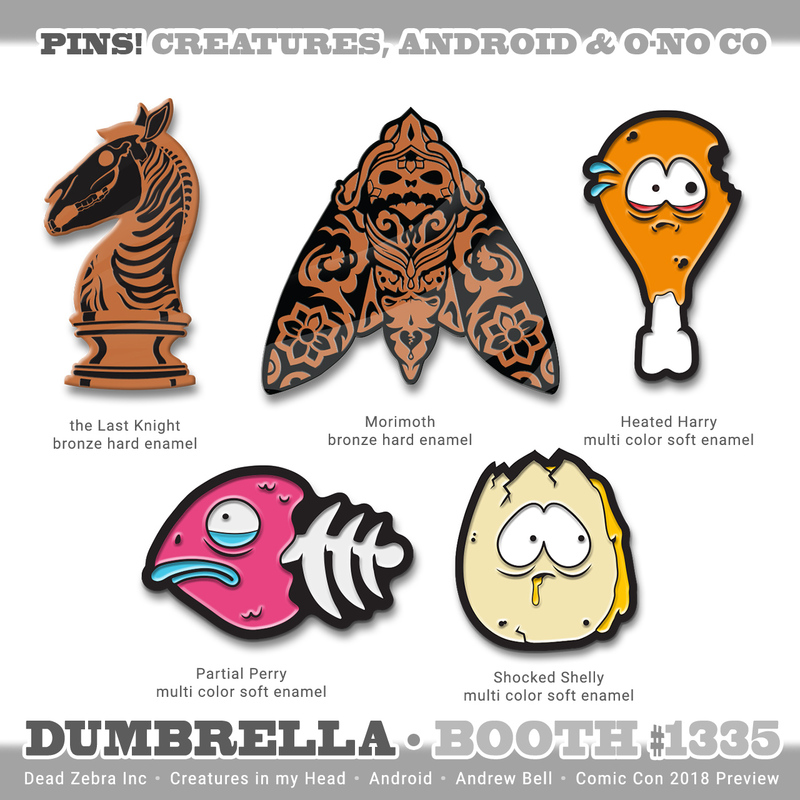 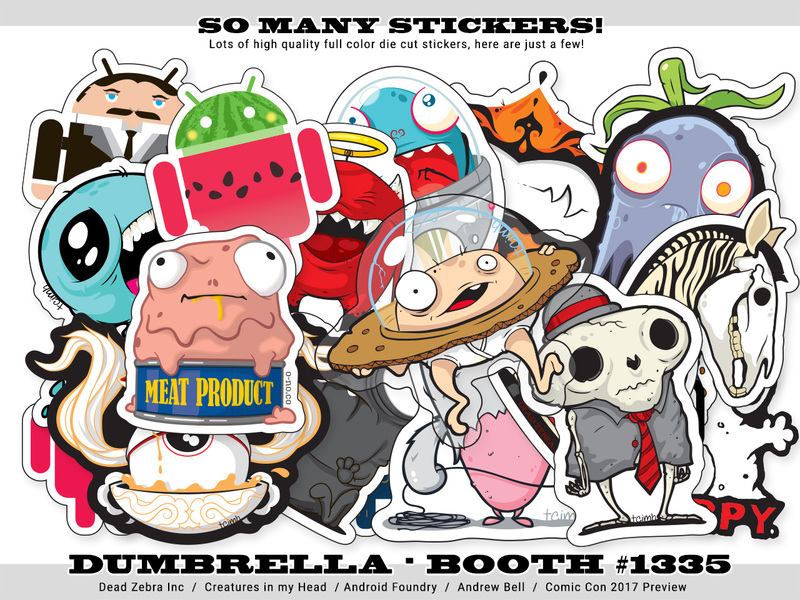 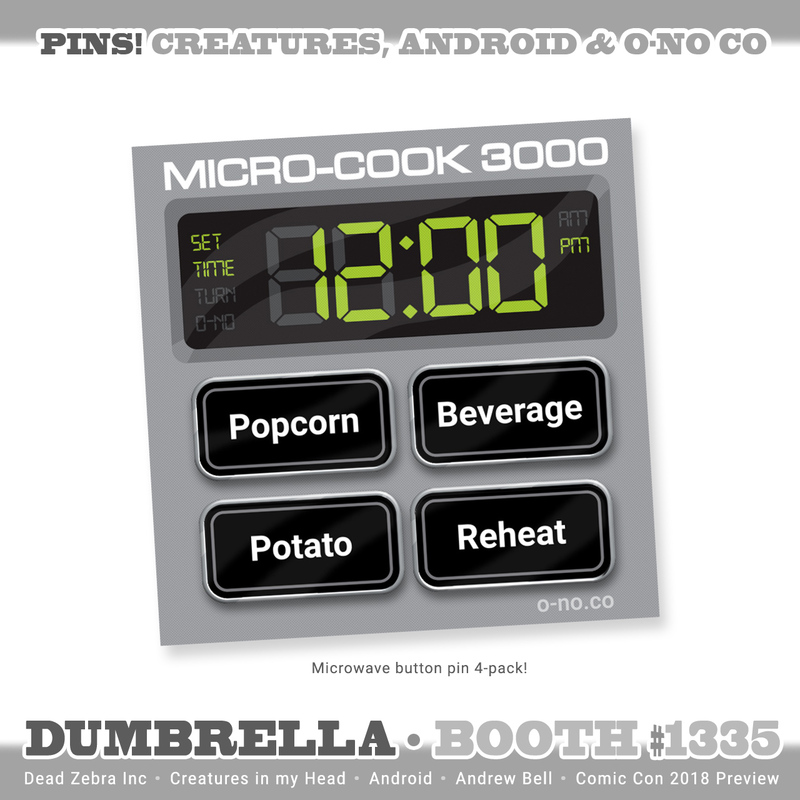 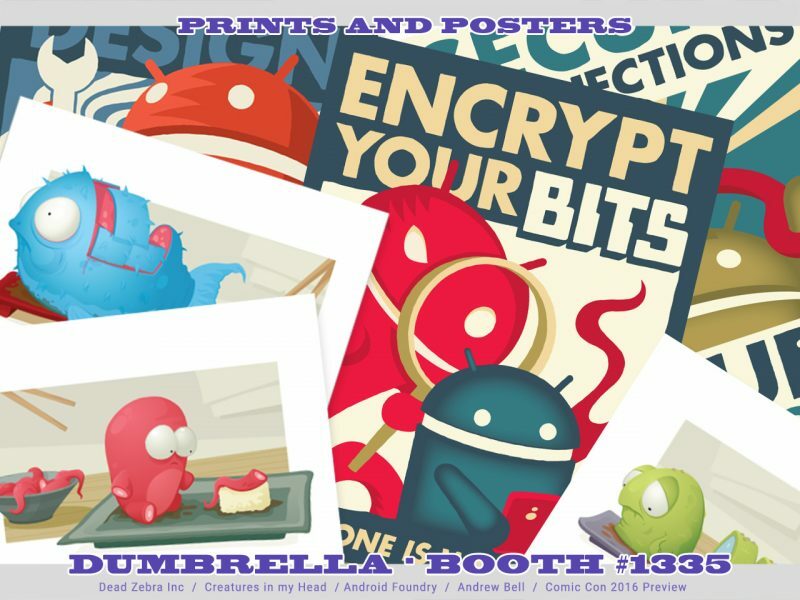 I’ll also have a few on hand at Comic-Con this year, Dumbrella booth #1335! 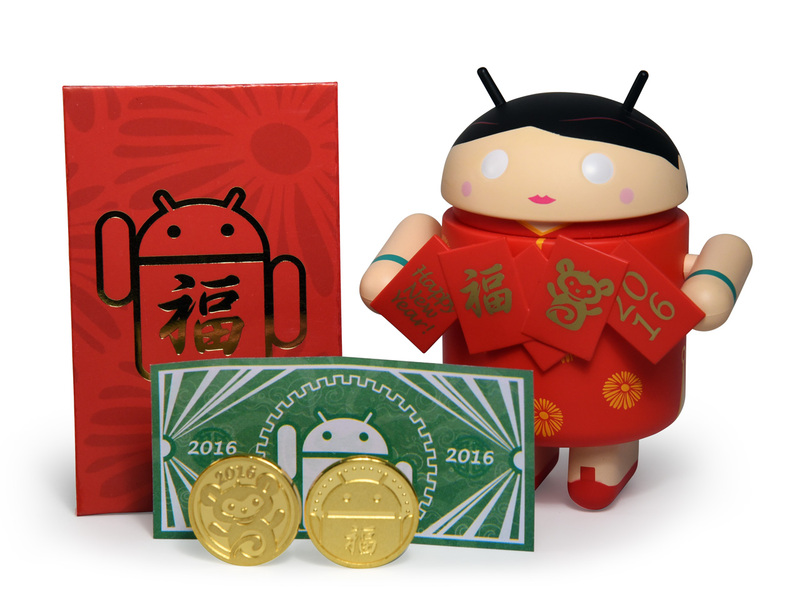 February 8th marks the start of the new year in many Asian countries! In China and neighboring areas it’s traditional to give out gifts of red envelopes containing money to help ensure good fortune through the new year. 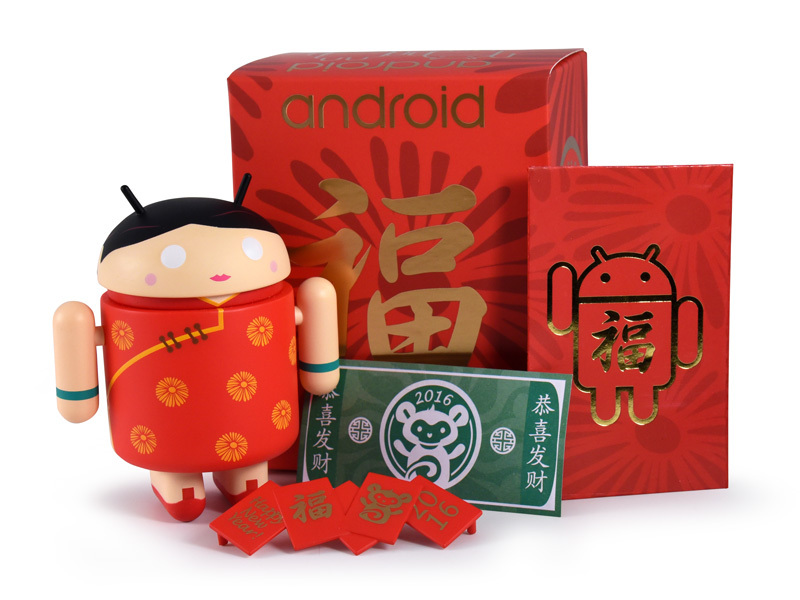 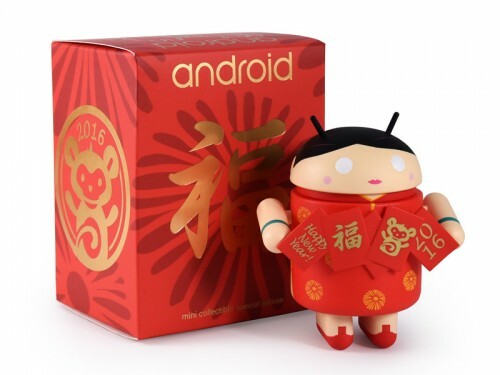 This year we released the ‘Red Pocket’ edition Android mini collectible in Asia, featuring a traditionally dressed Android holding up a whole bunch of red envelopes. 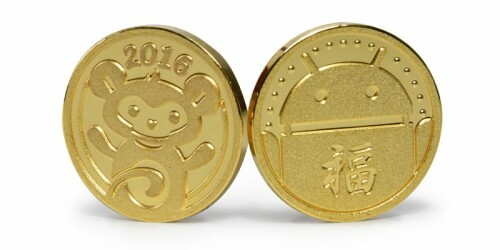 Each figure also includes an actual red envelope containing a fun little Android / Monkey “dollar bill”, OR if you’re really lucky, a ‘golden ticket’ that rewards the winner with a custom minted 10g 24k gold coin worth over $450! 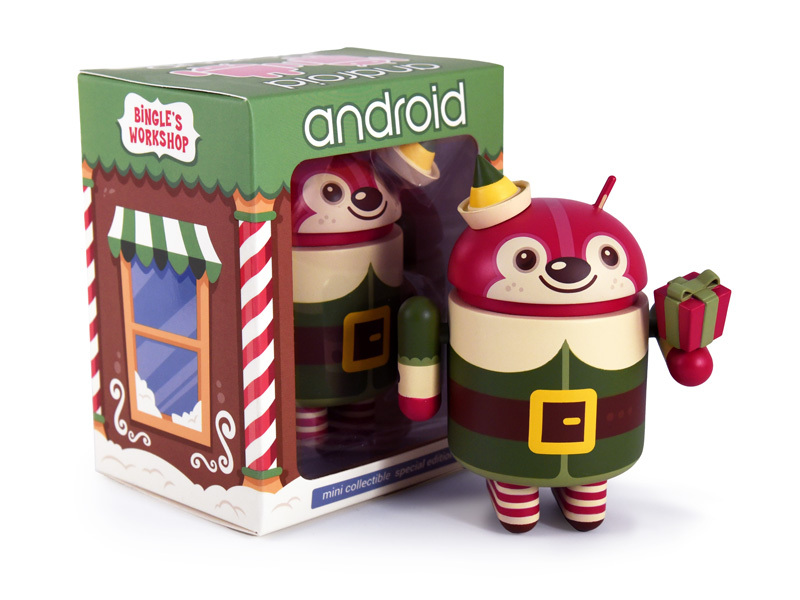 We’ve got two of those golden tickets somewhere in our limited stock of figures! 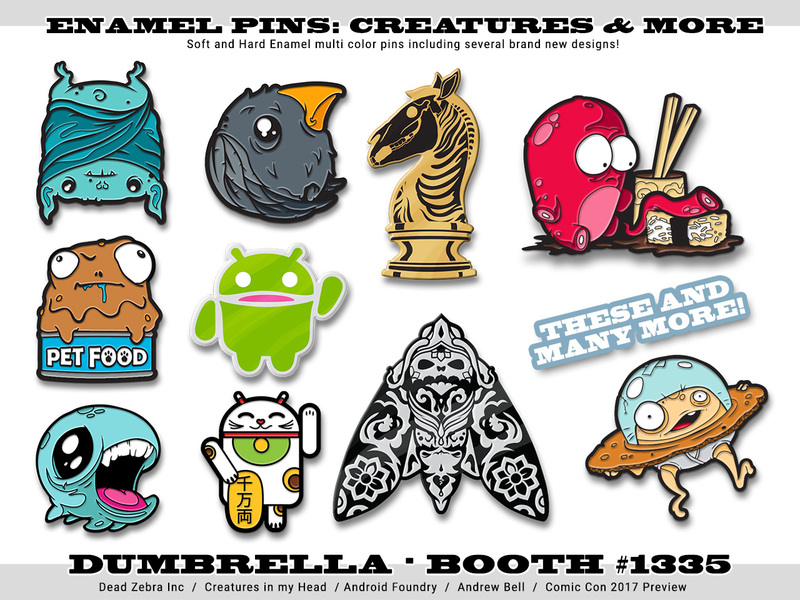 The Androids will be available in the Dead Zebra Shop starting this Monday (Jan 25th) at 11am EST for $10 each.